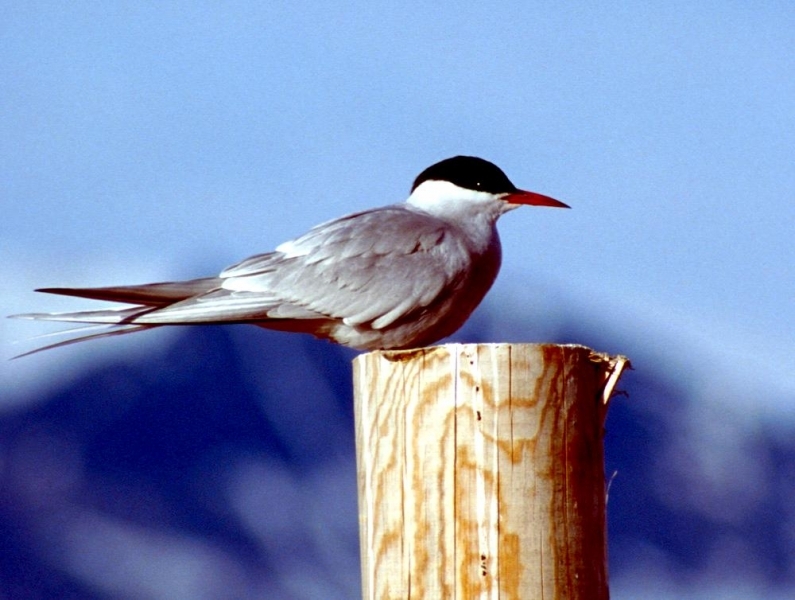 The Arctic Tern is a small bird with narrow wings and short legs. 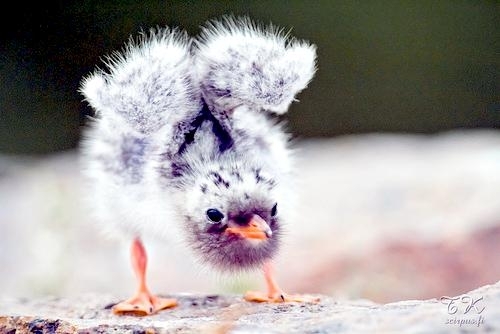 Their coloration varies depending on age & season. 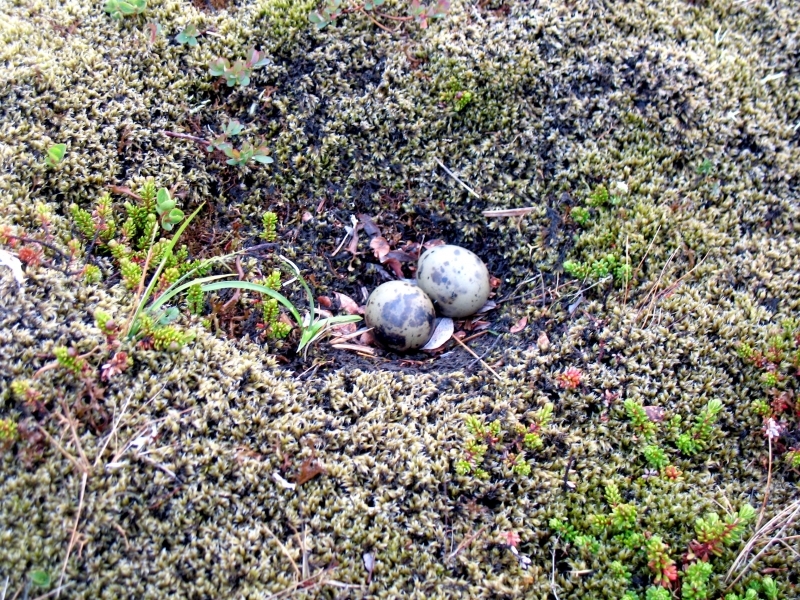 Newborns are gray or brown. 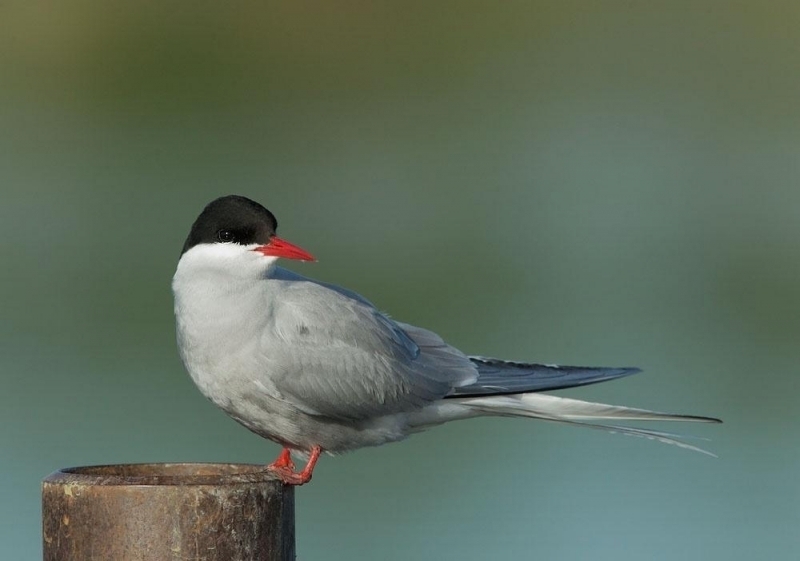 Adults are gray to white in color during the breeding season. 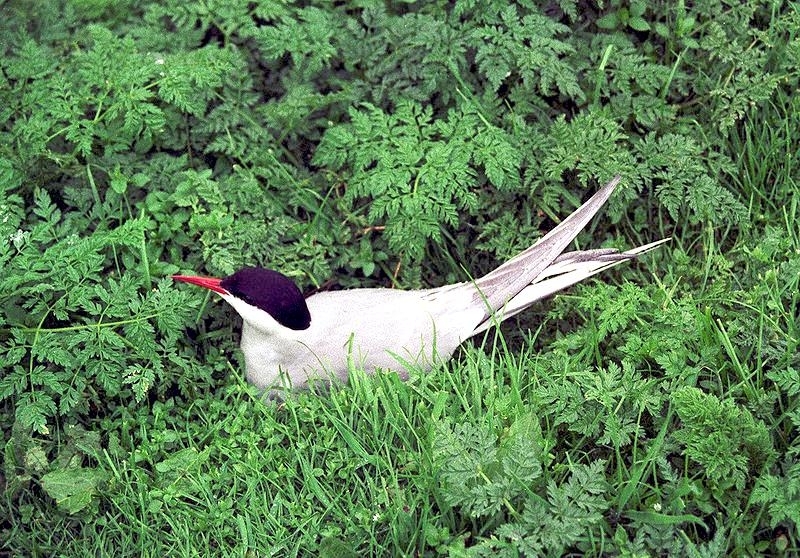 Their beak and legs are red and a black patch covers the head and forehead. 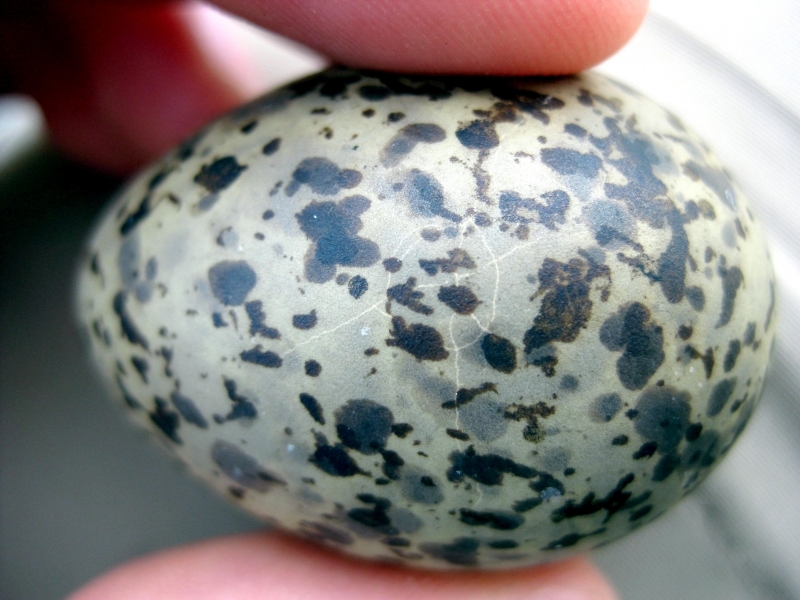 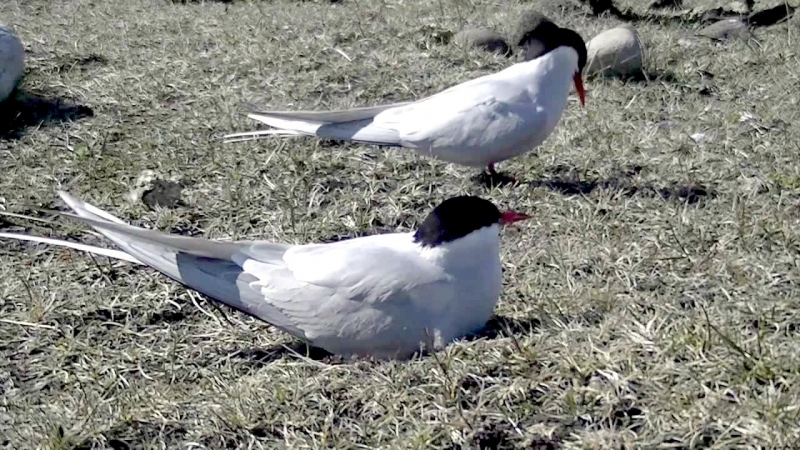 During the non-breeding season, the legs and beak are black and the black patch of color on the head shrinks. 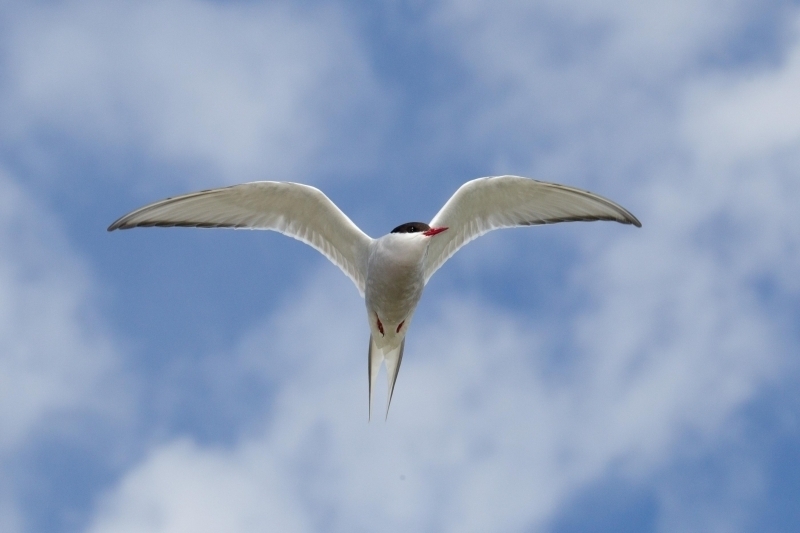 Their wingspan is between 25-30 inches and length averages 11-16 inches. 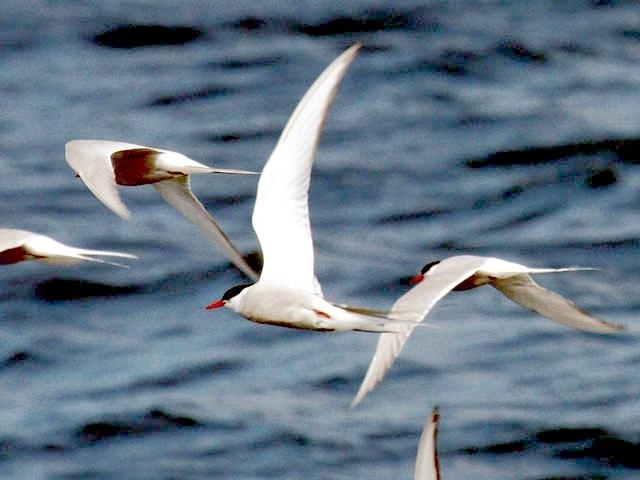 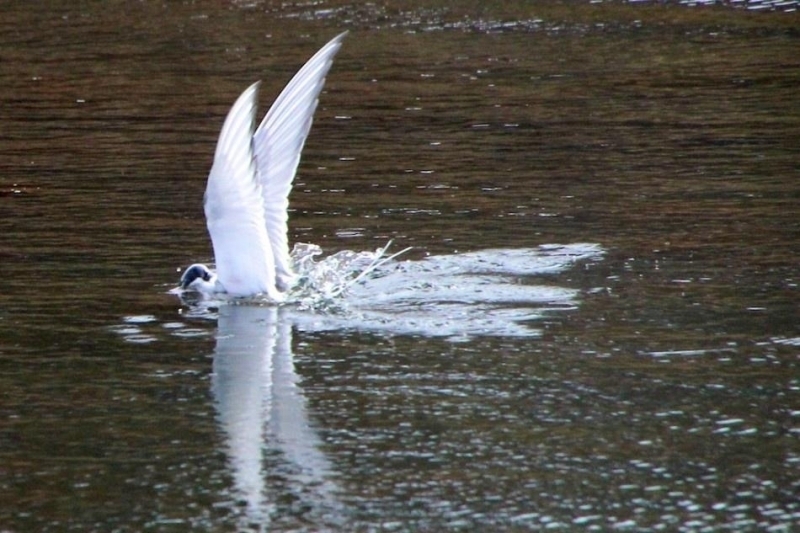 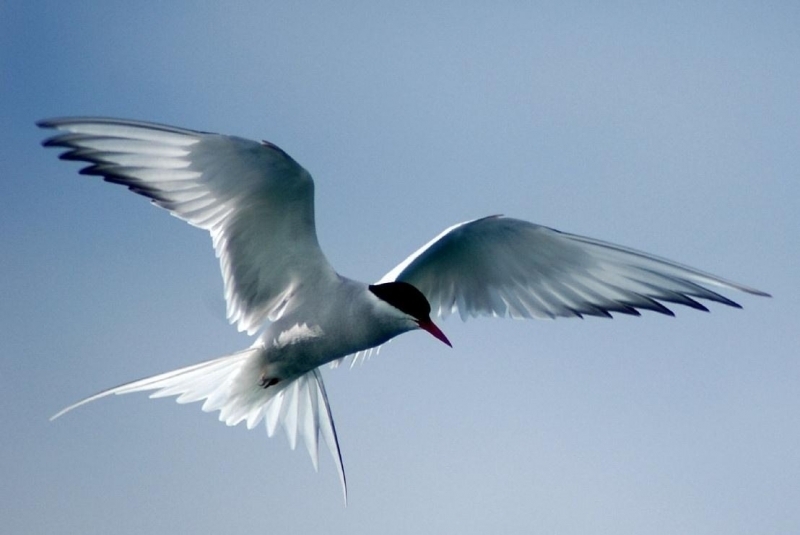 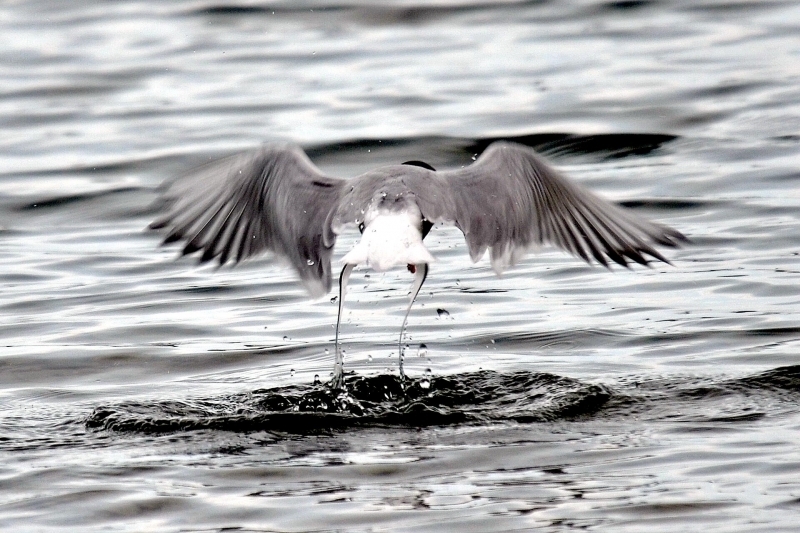 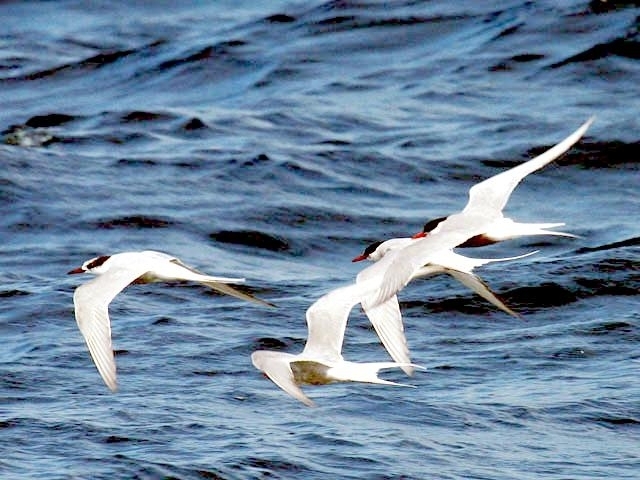 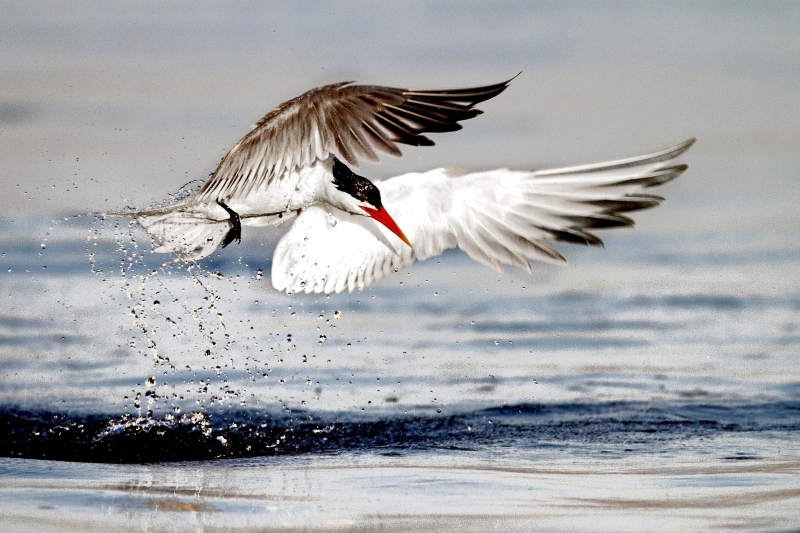 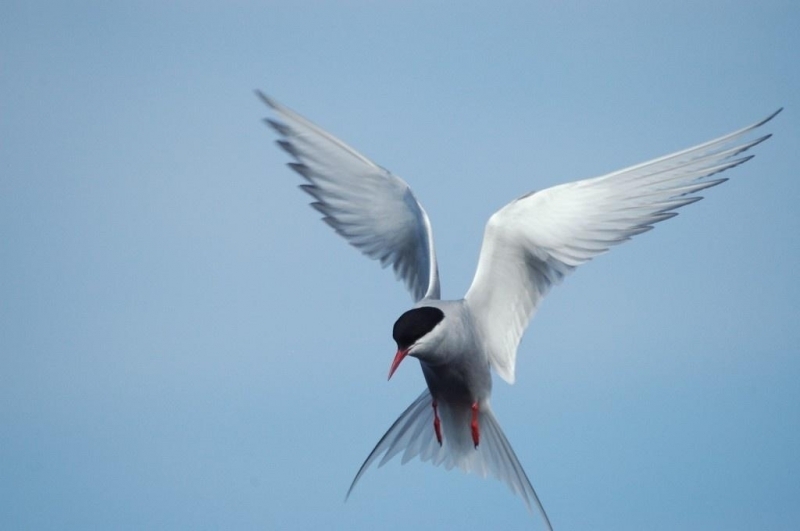 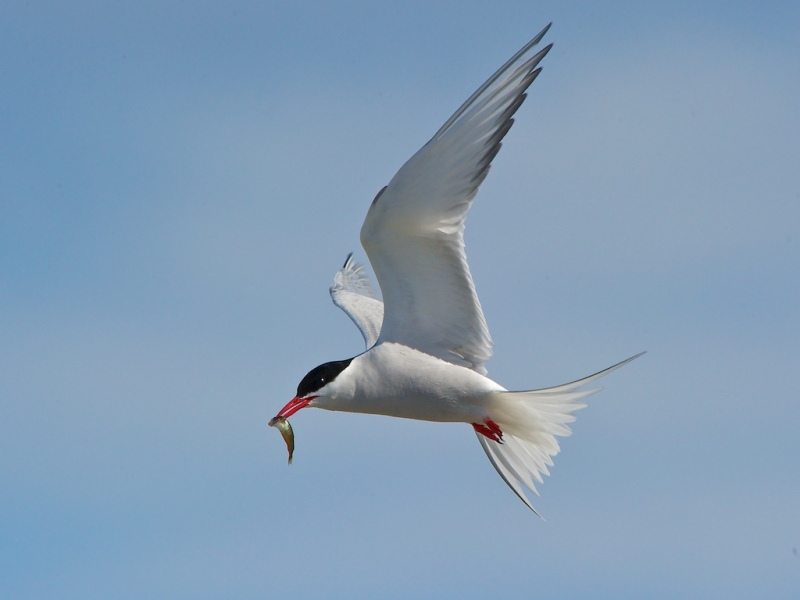 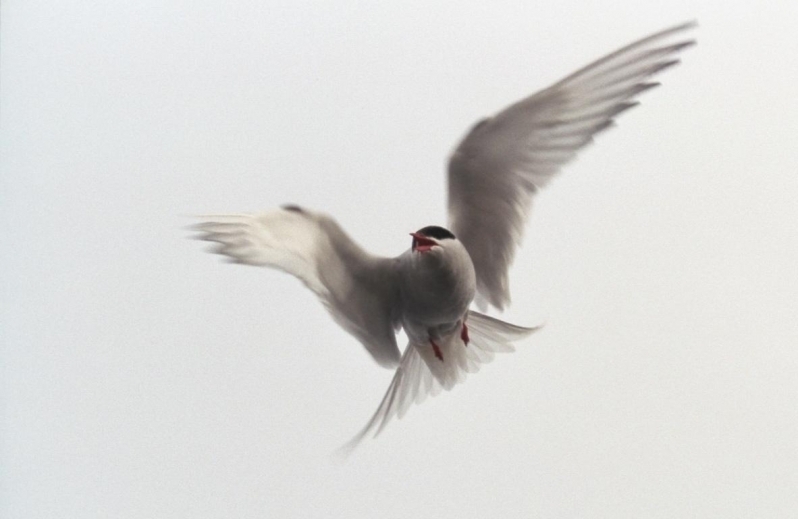 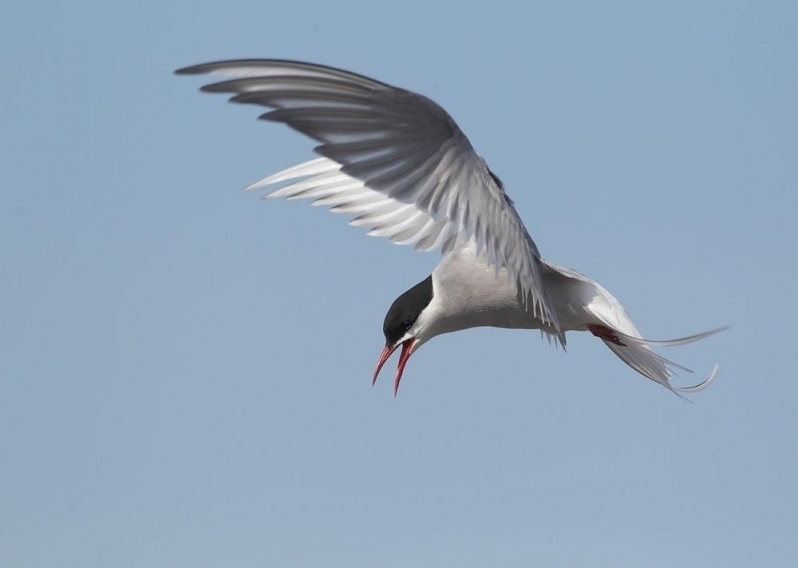 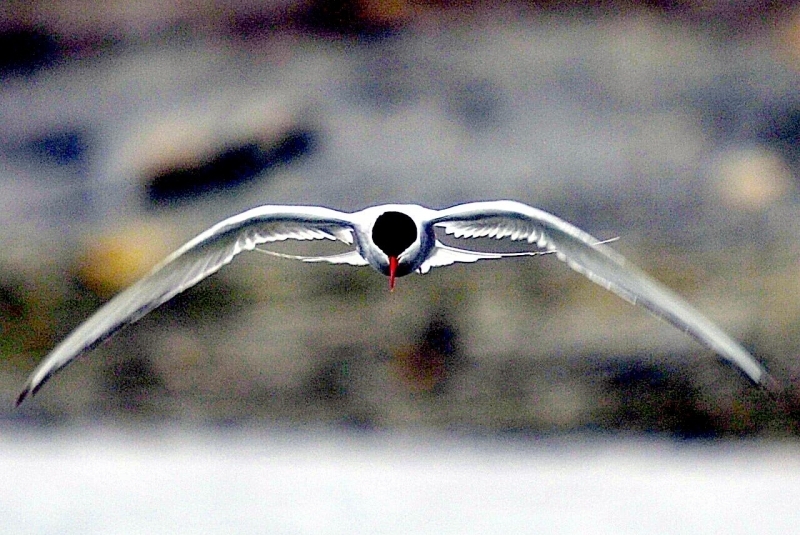 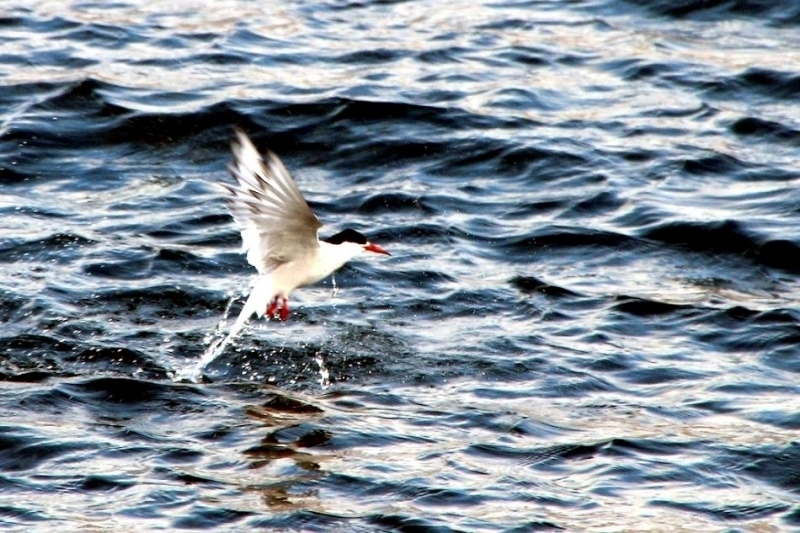 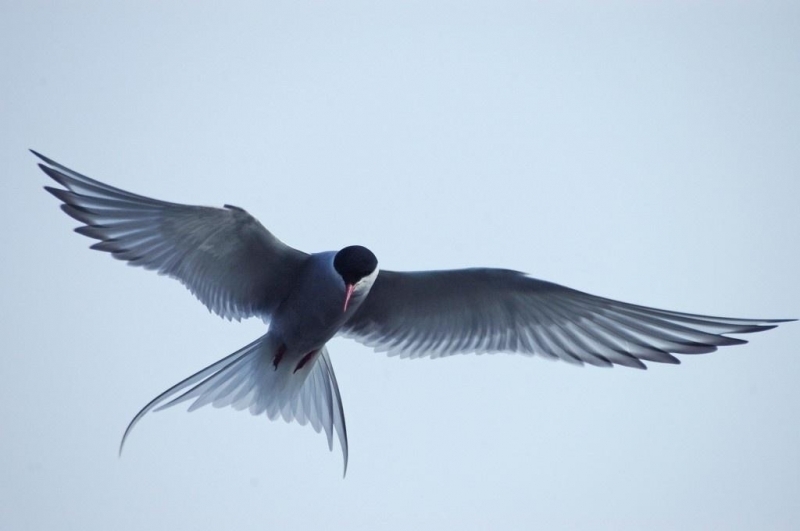 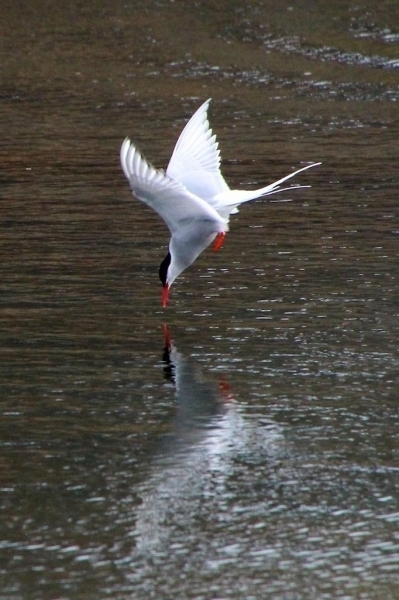 When feeding, Arctic Terns hover in midair before plunging into the water to catch fish or crustaceans. 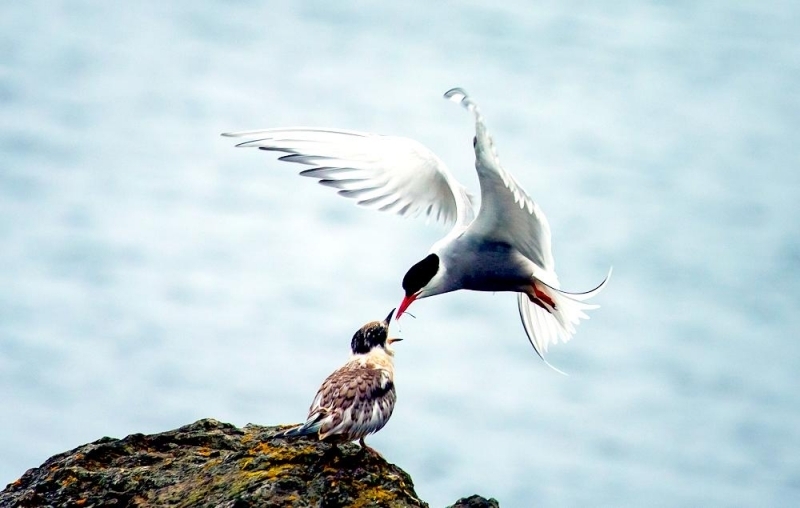 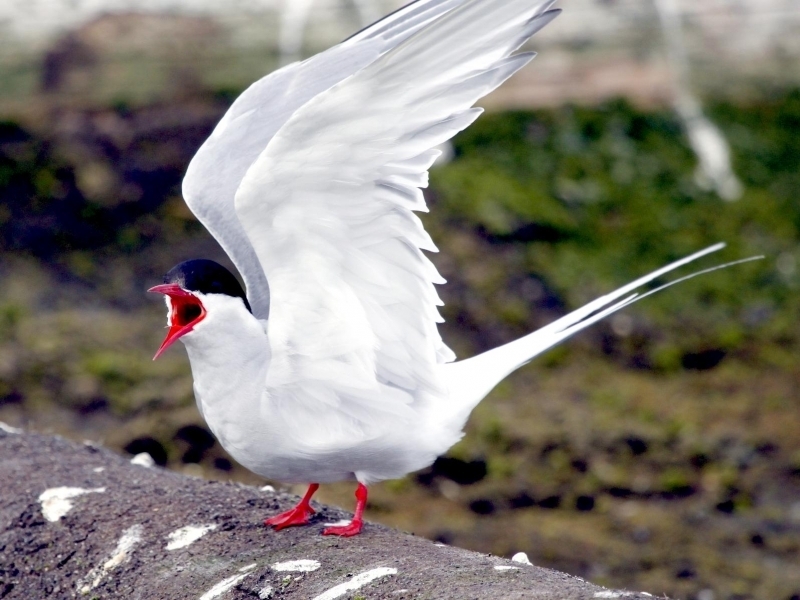 Occasionally, the Arctic Tern steals food from other birds by flying at them and startling them into dropping their catch. 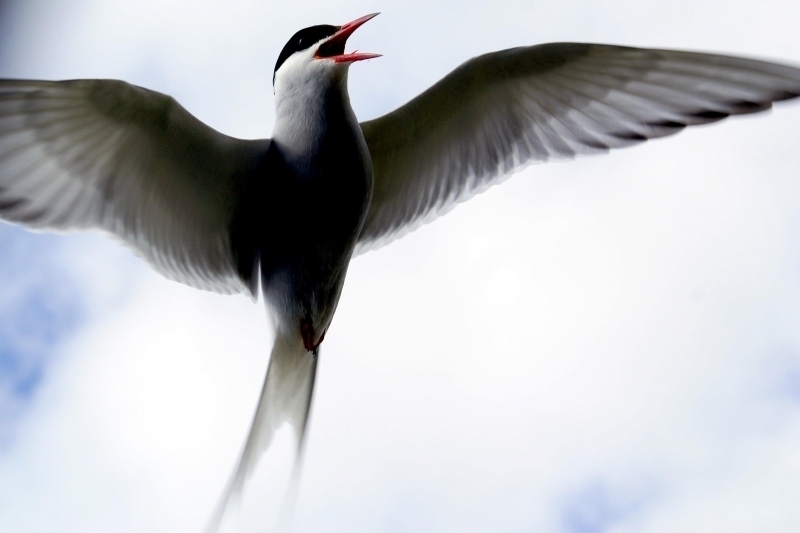 They also capture insects in mid-air as well. 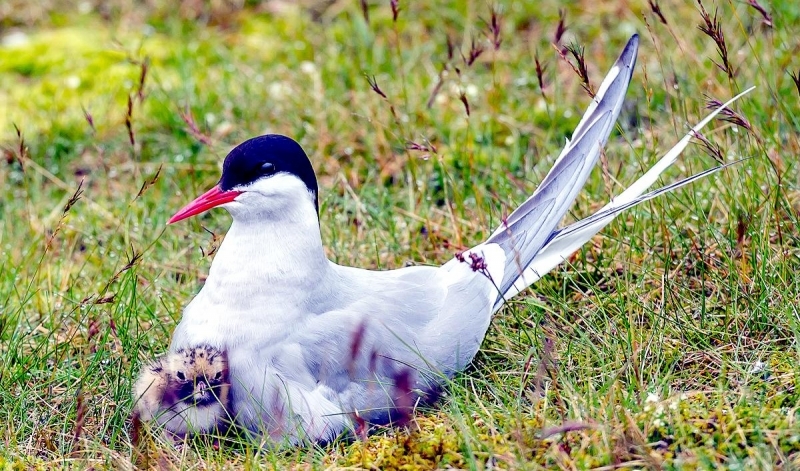 Reproductive maturity is reached at 3-4 years. 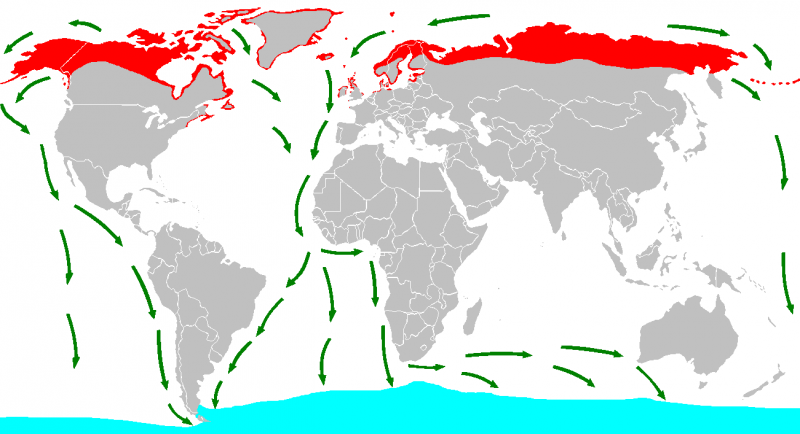 Breeding grounds range in type from boreal forests, islands, tundra and rocky beaches. 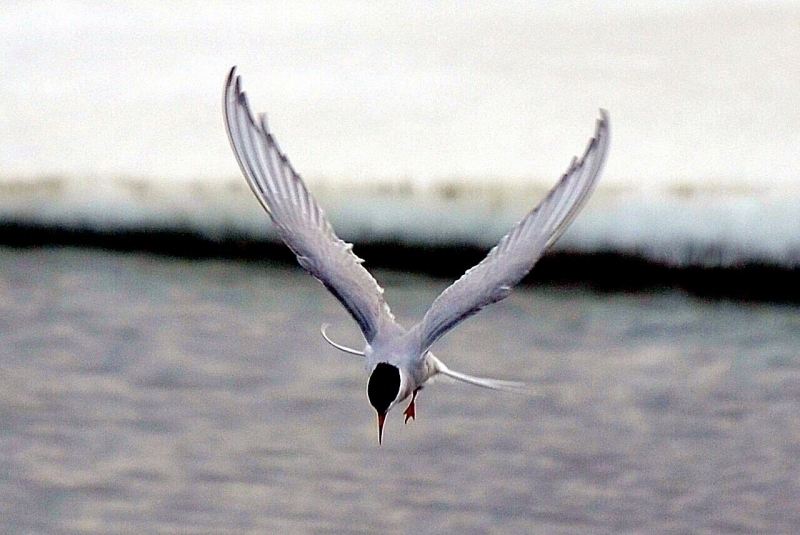 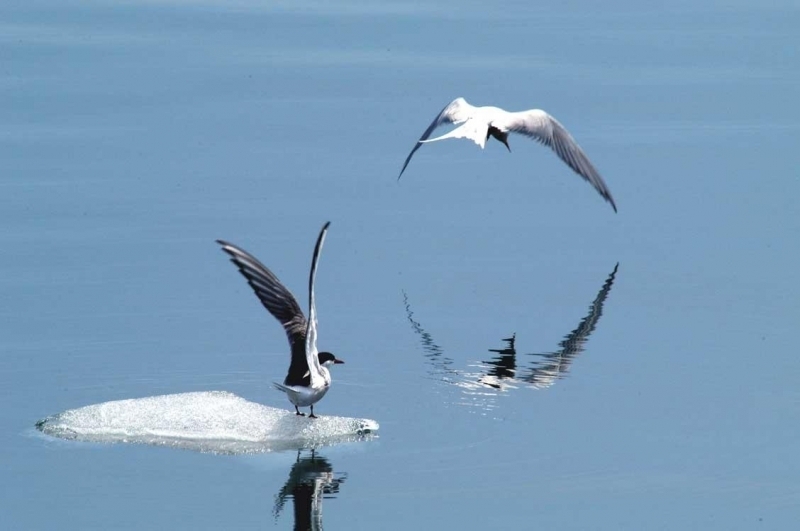 After migration, the Arctic Terns winter on pack ice. 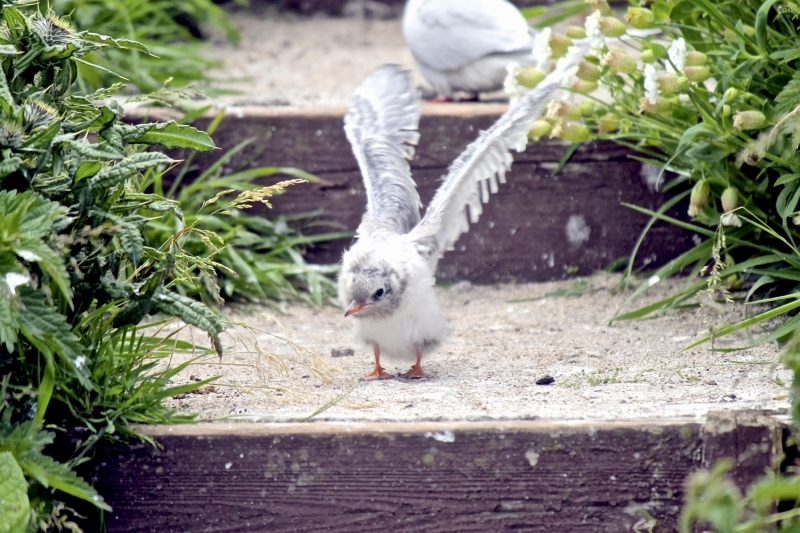 During this time, they undergo a molt and lose most of their feathers. 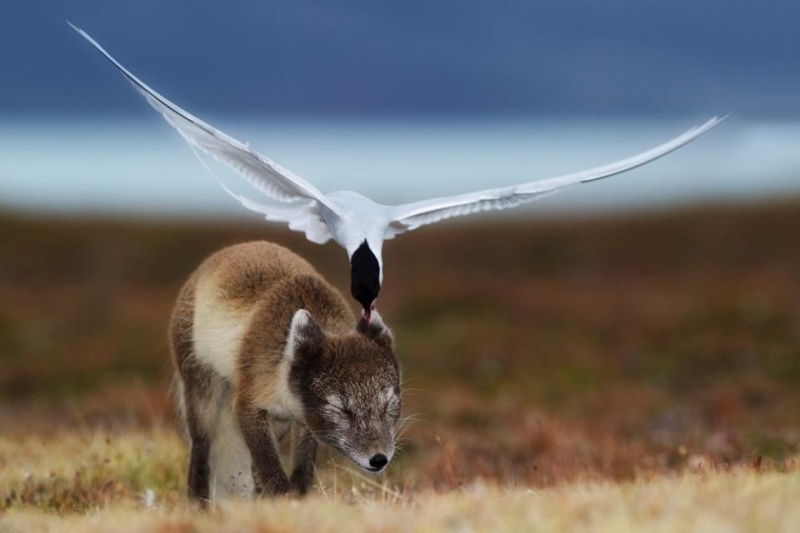 Sometimes the feathers are lost more quickly than they can be replaced and the individual is flightless for a time. 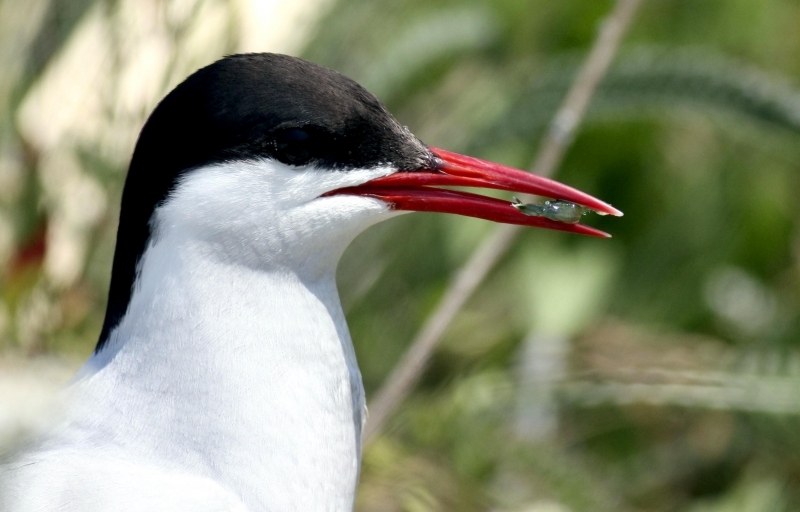 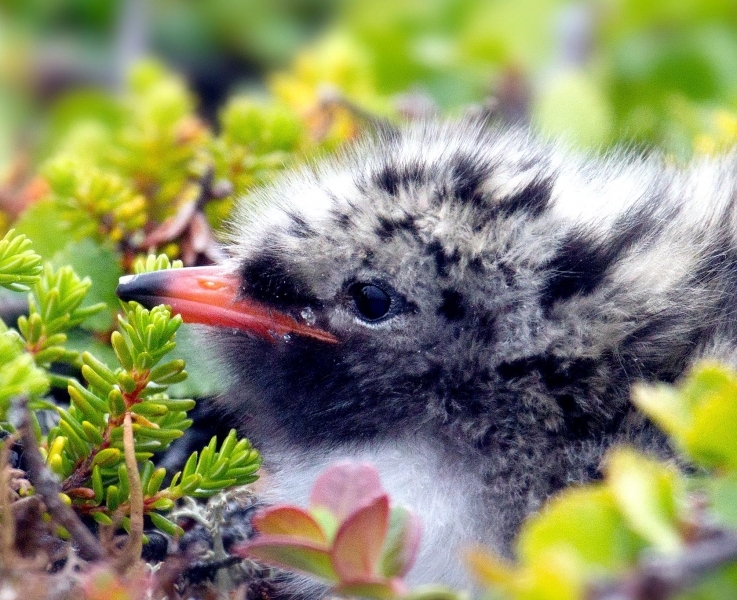 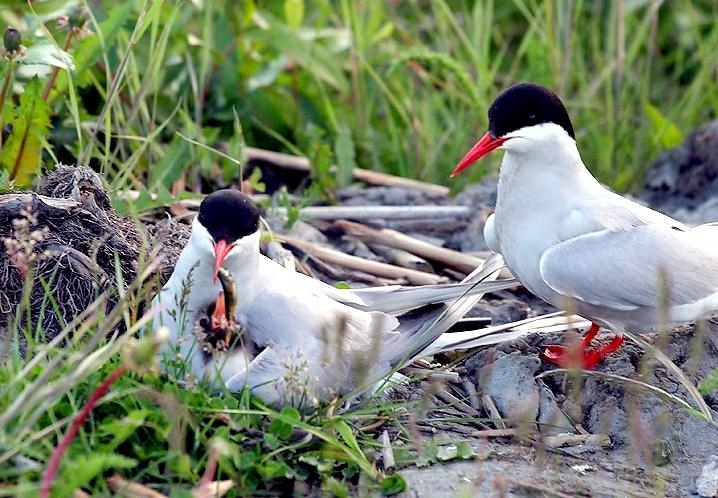 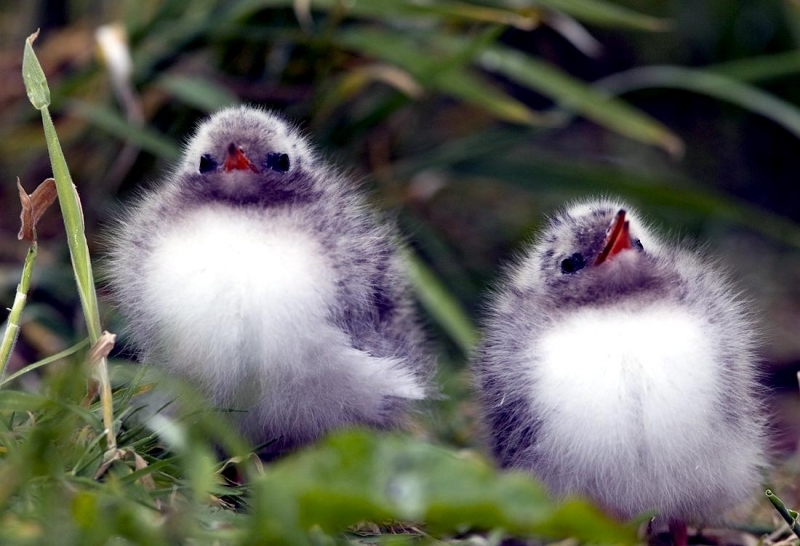 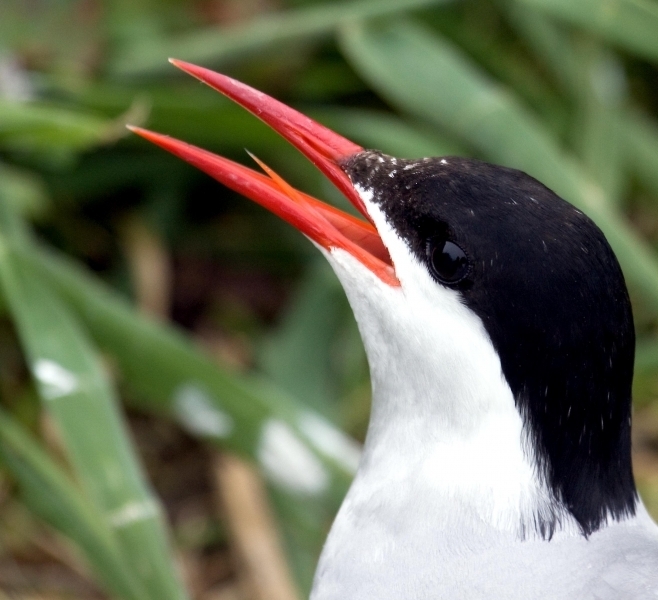 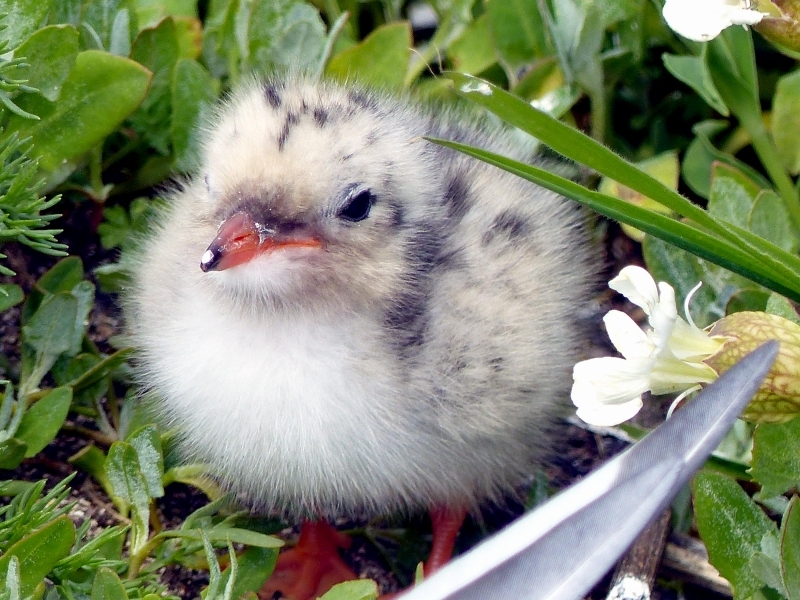 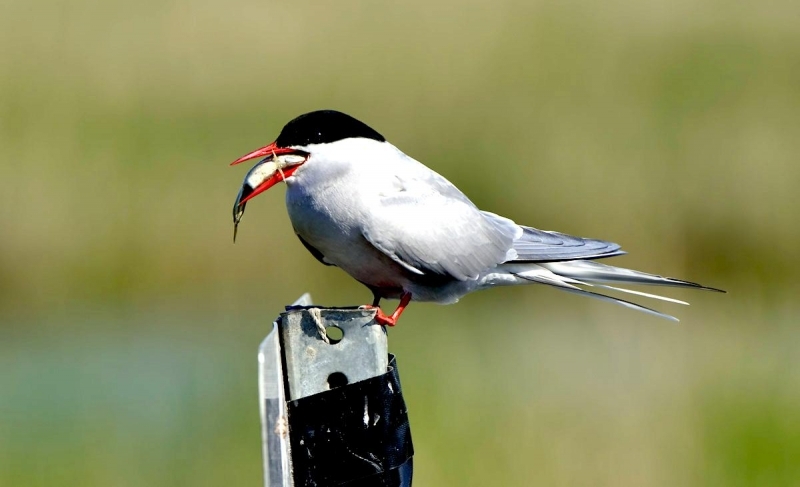 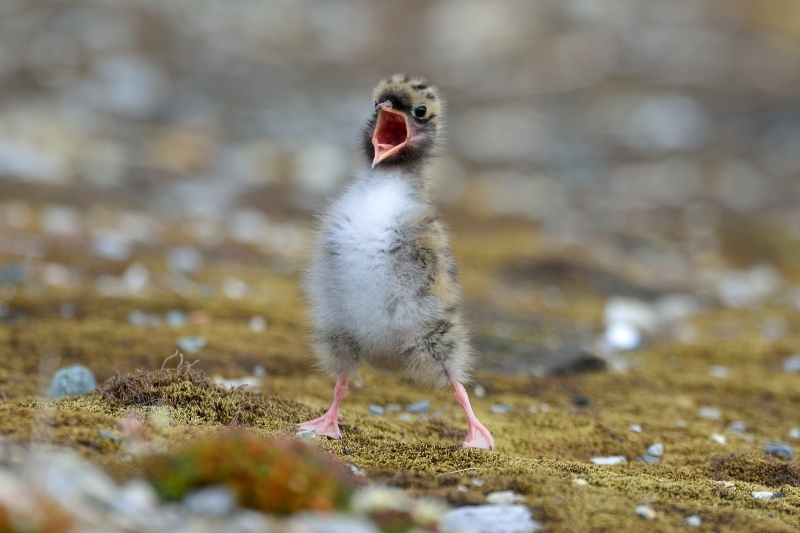 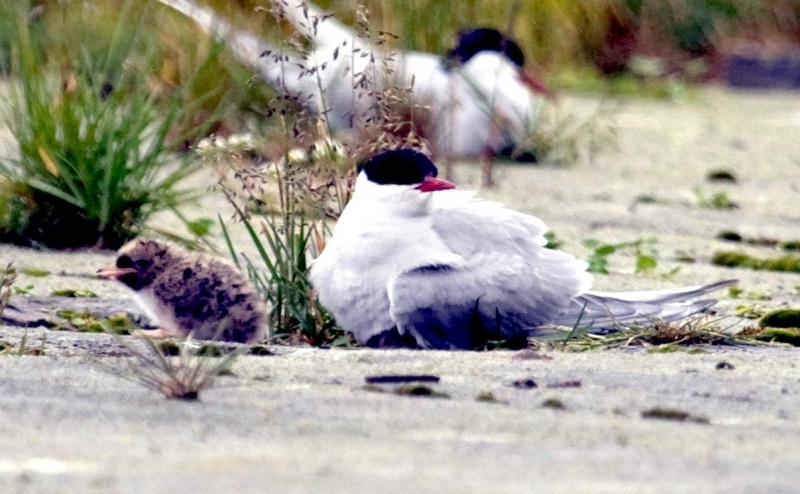 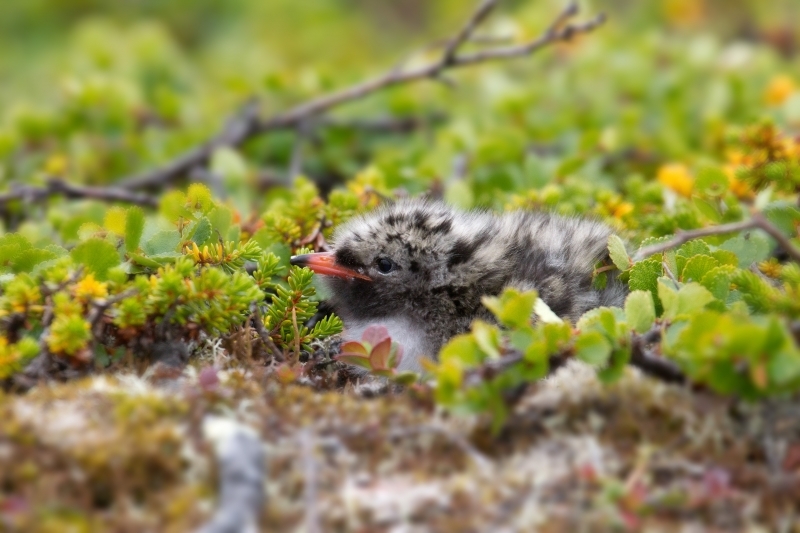 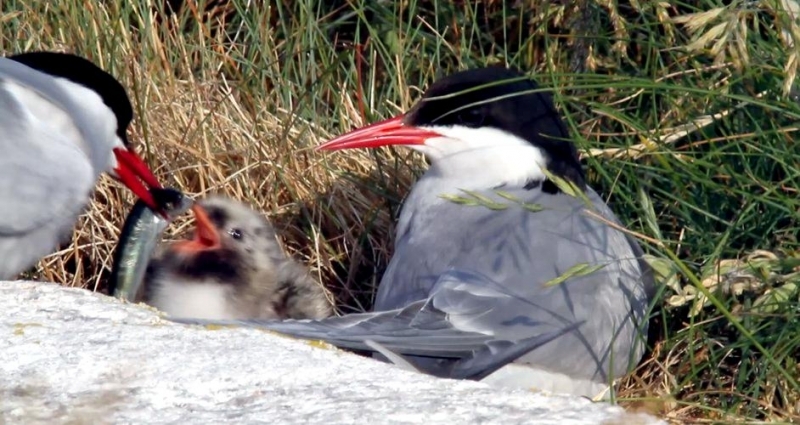 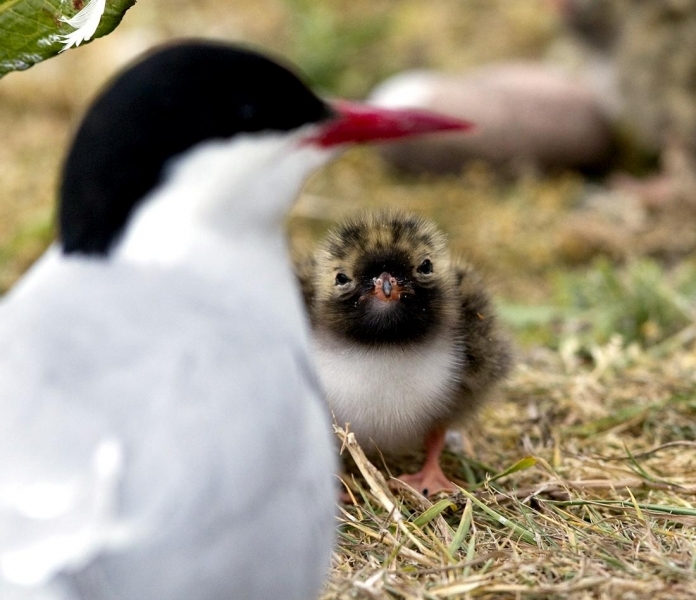 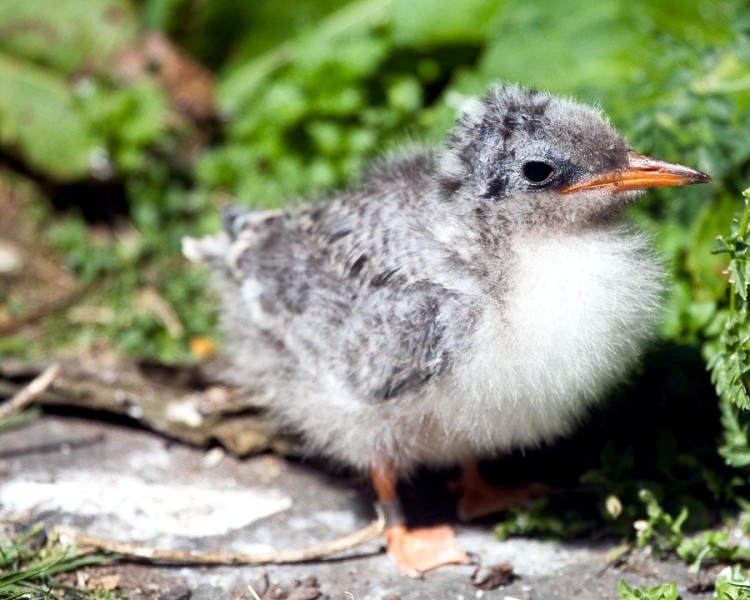 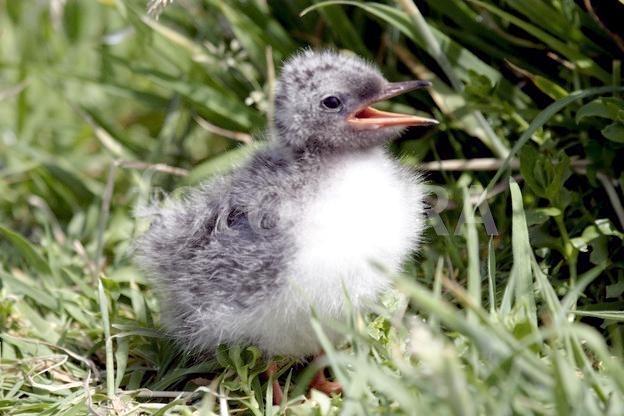 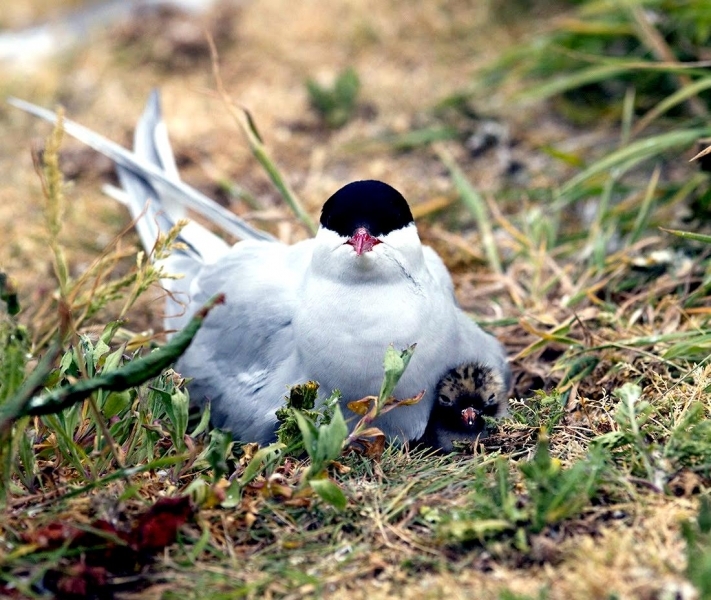 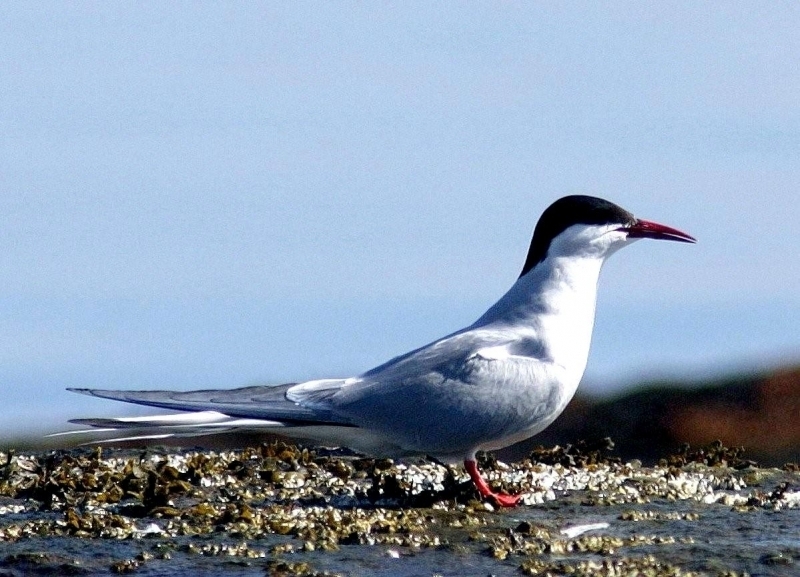 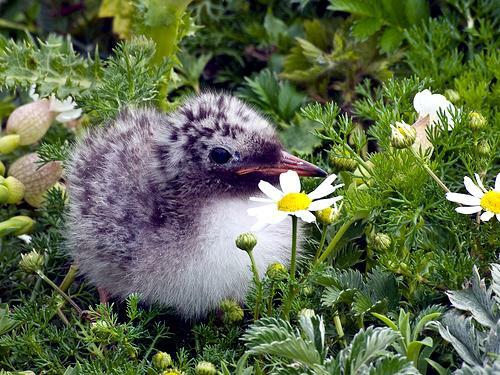 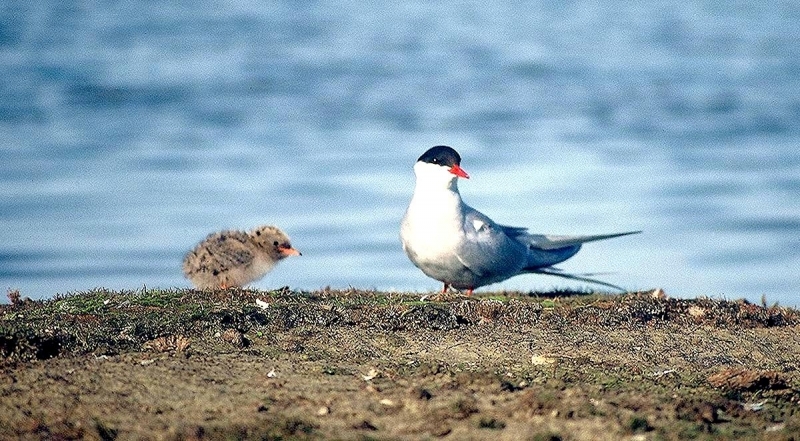 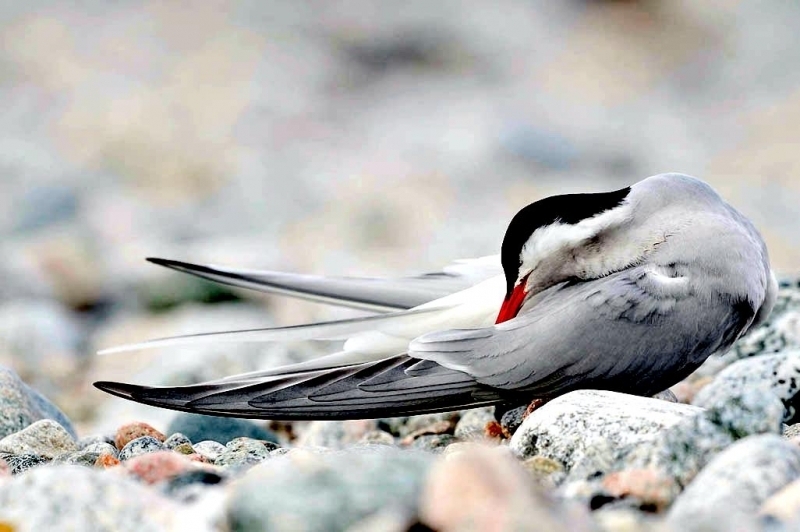 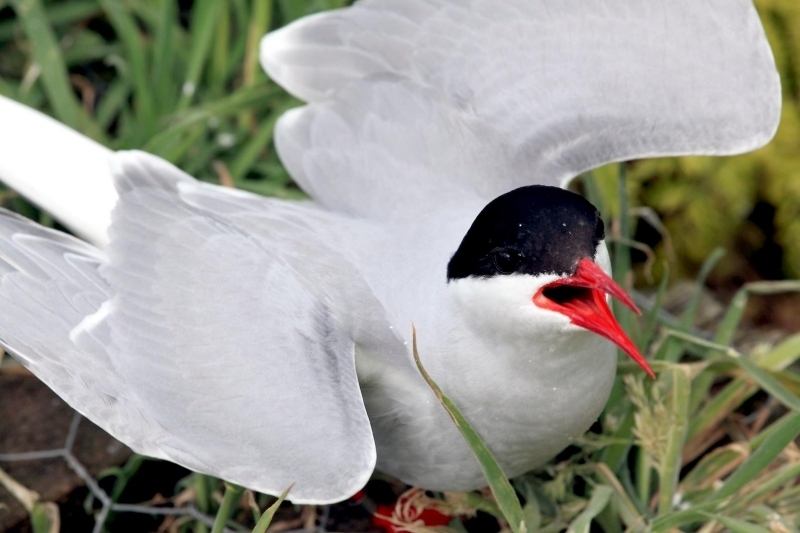 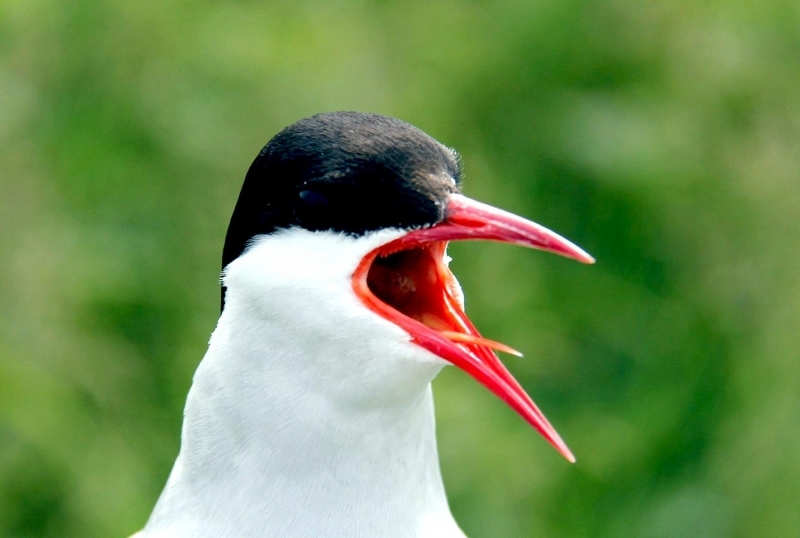 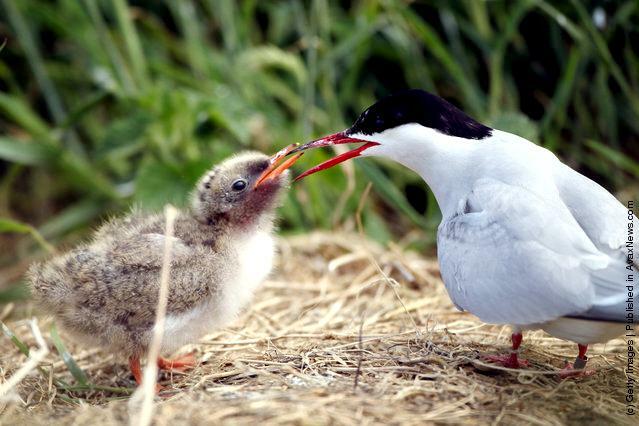 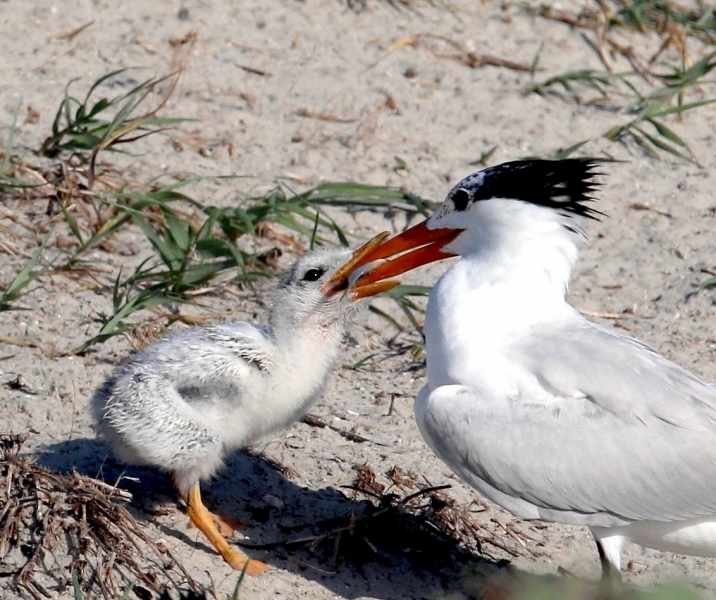 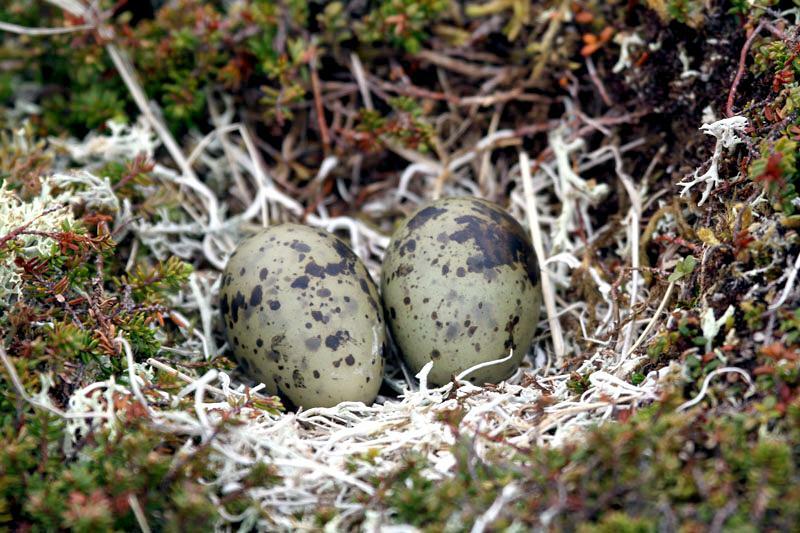 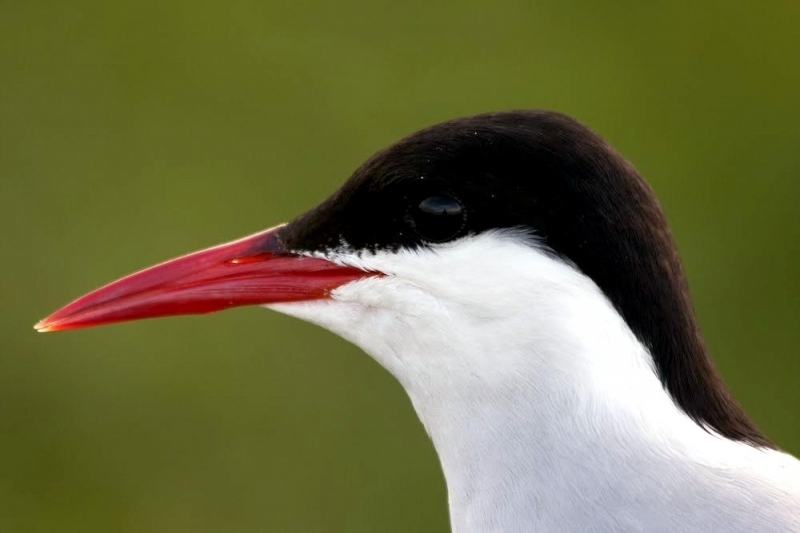 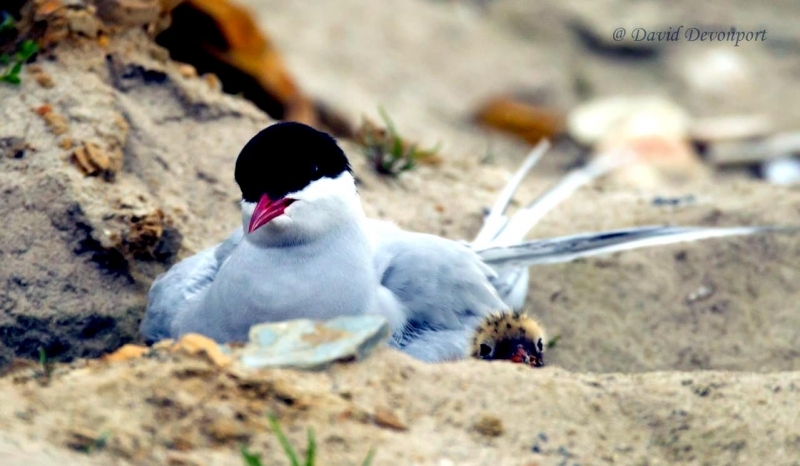 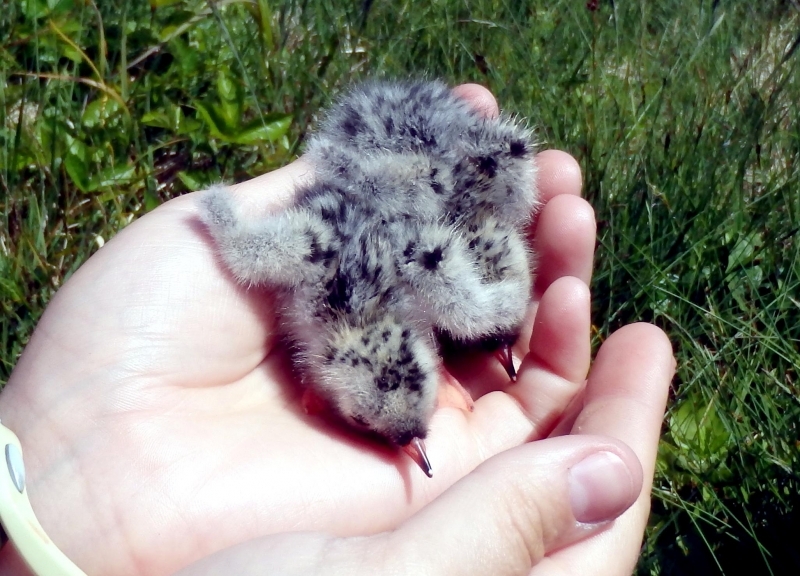 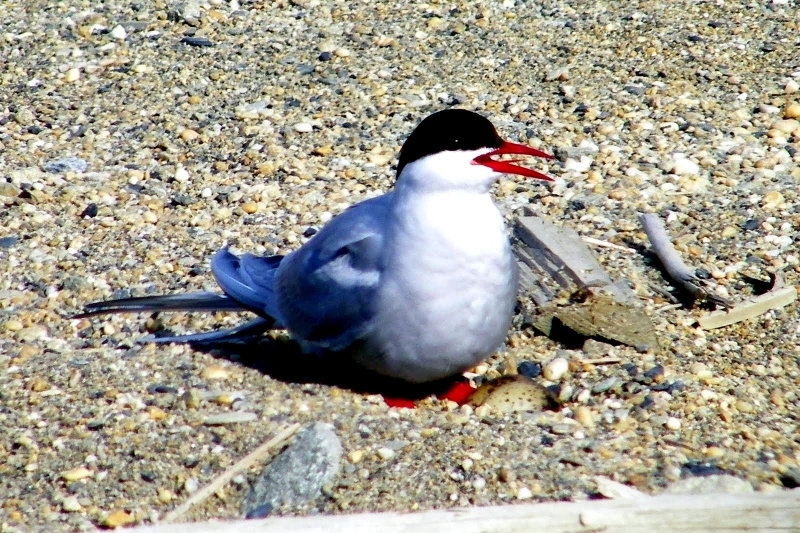 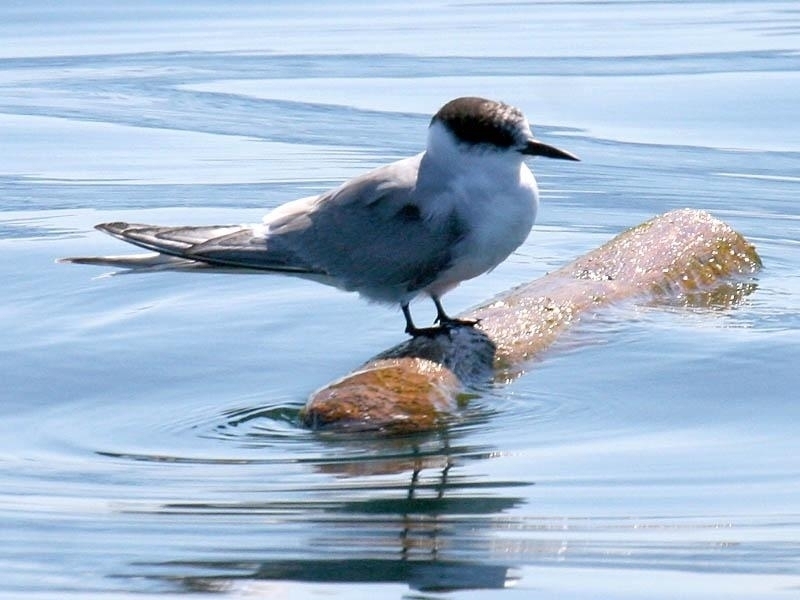 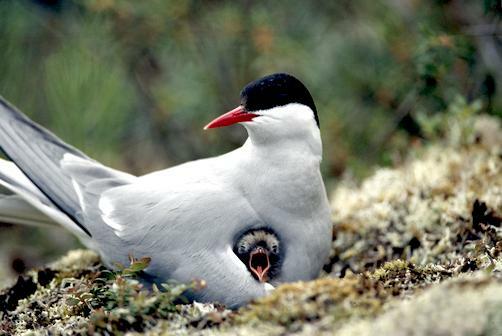 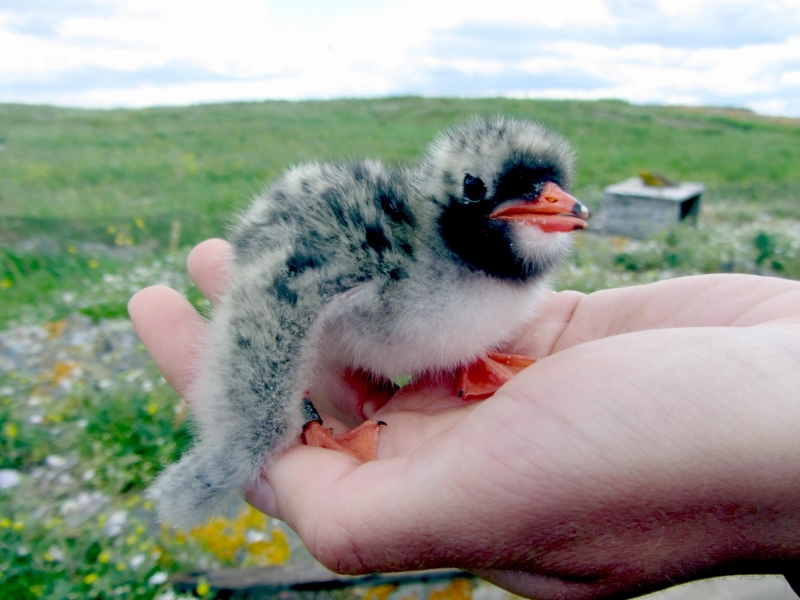 During the summer breeding season, Arctic Terns nest by the shore as far south as New England and Washington State. 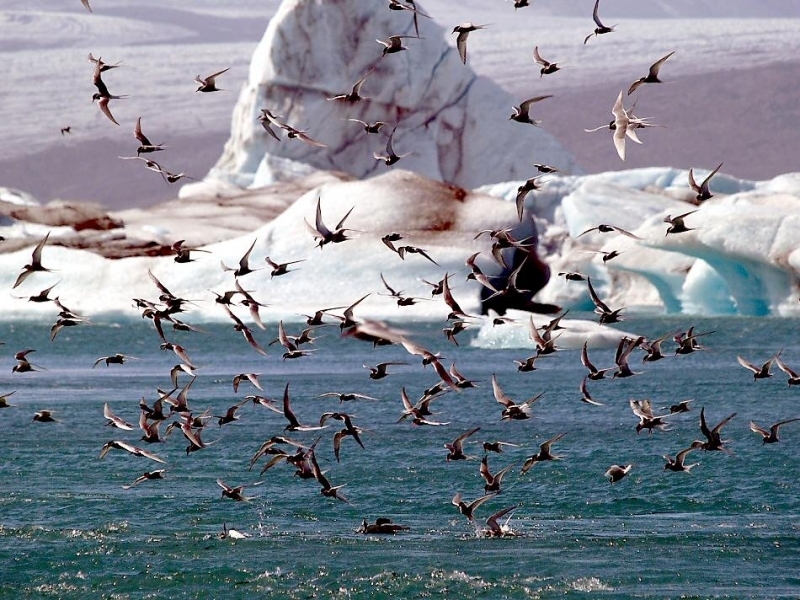 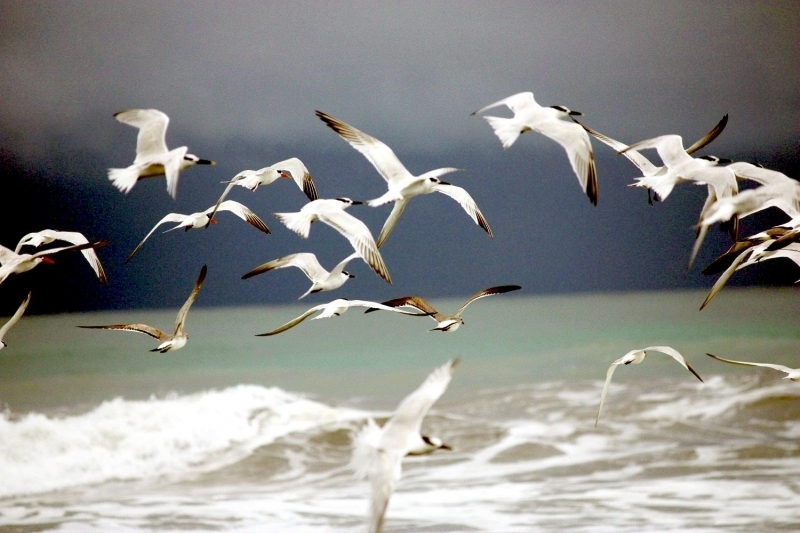 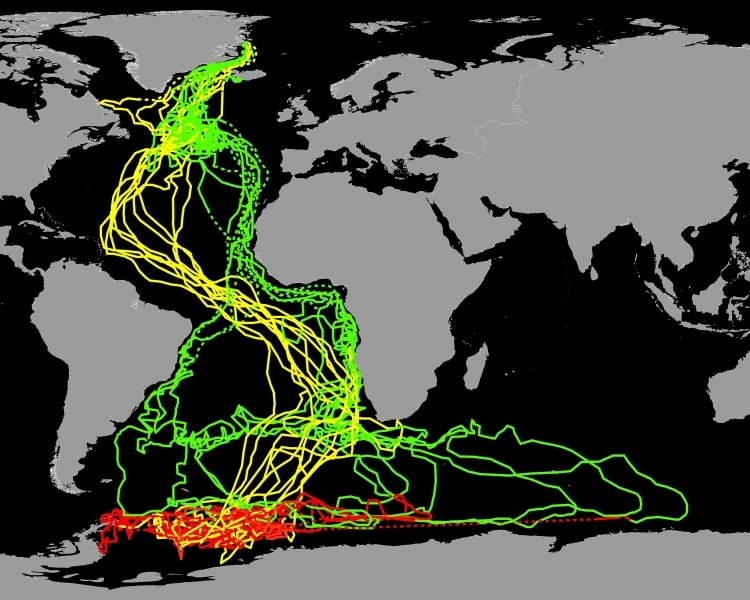 Their migration route follows the west coast all the way to Tierra del Fuego, the southernmost point of South America. 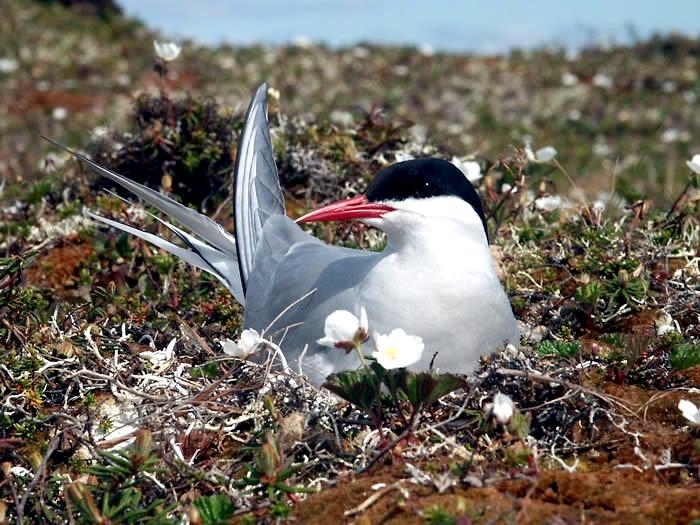 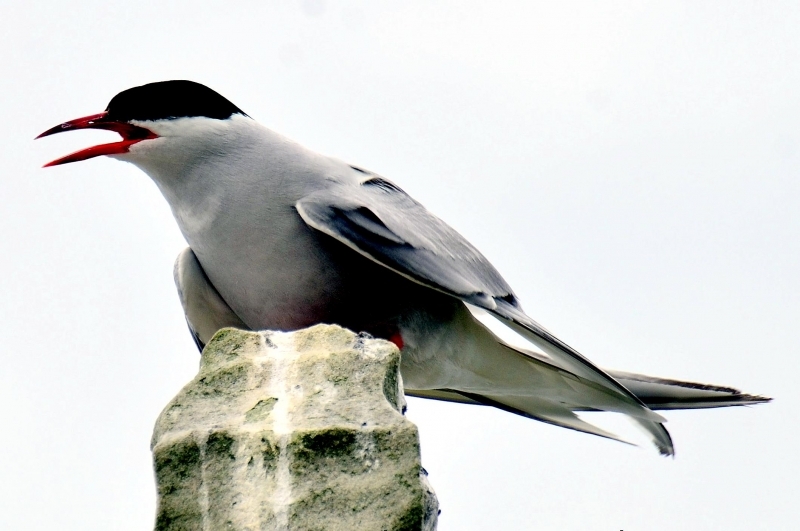 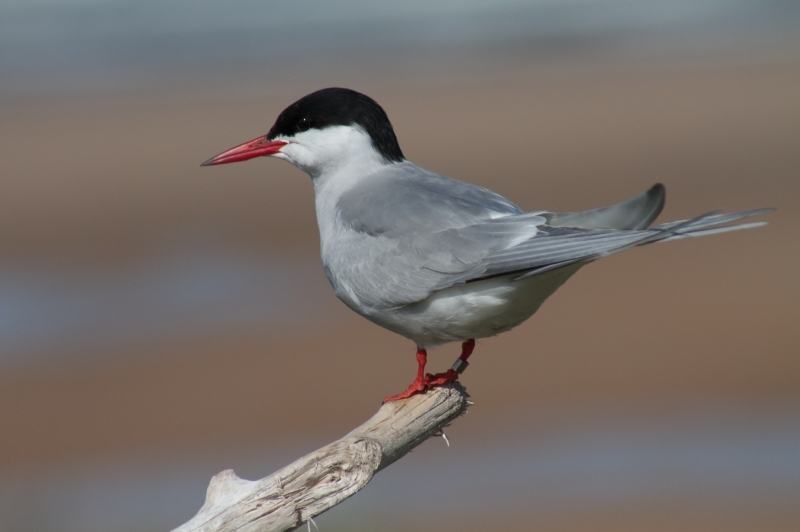 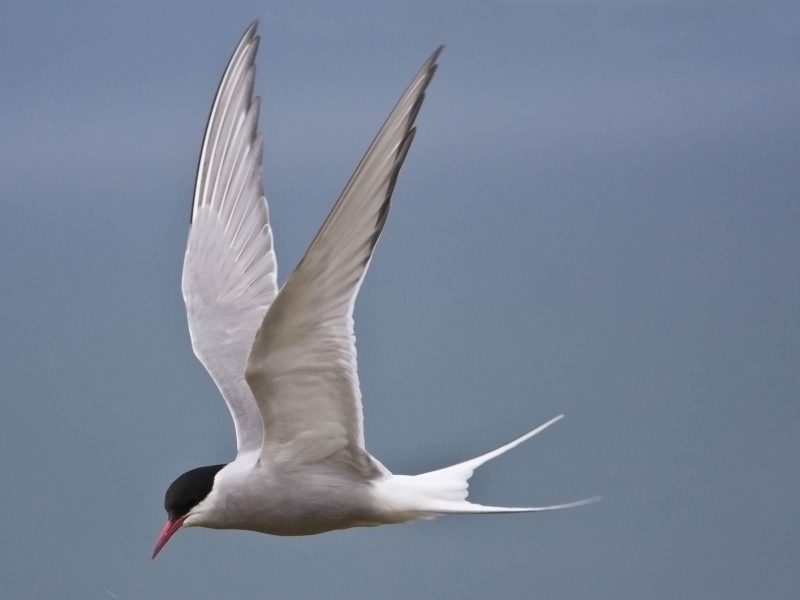 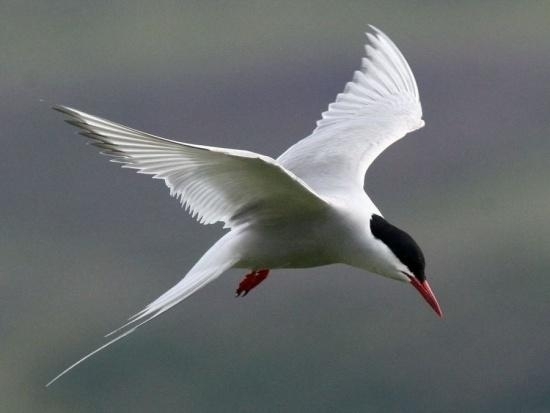 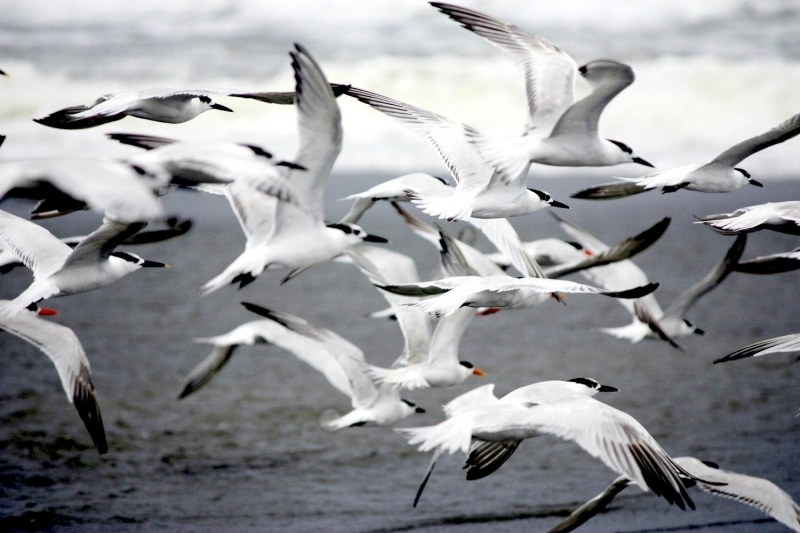 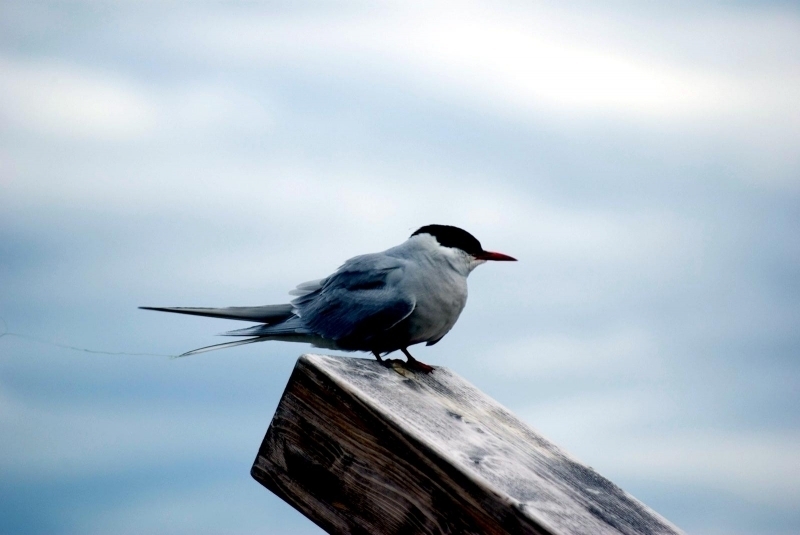 Arctic Terns can also be seen along the east coast of South America, Western Europe, Iceland, Australia, New Zealand and on various Pacific islands. 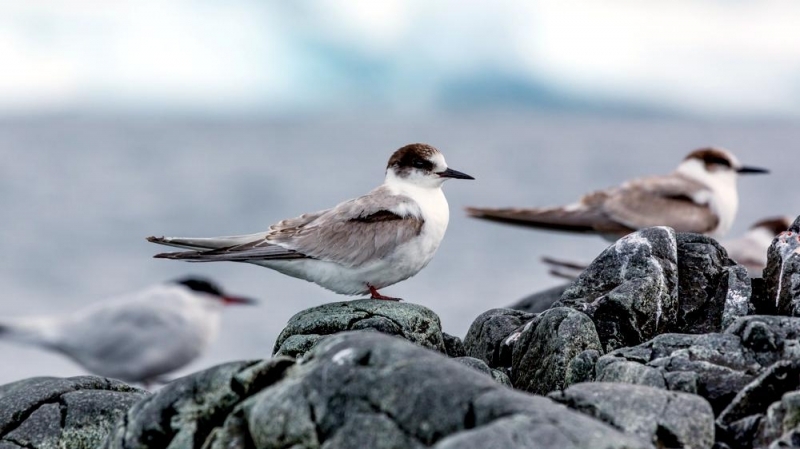 Their winter habitat extends to the northernmost points of Antarctica. 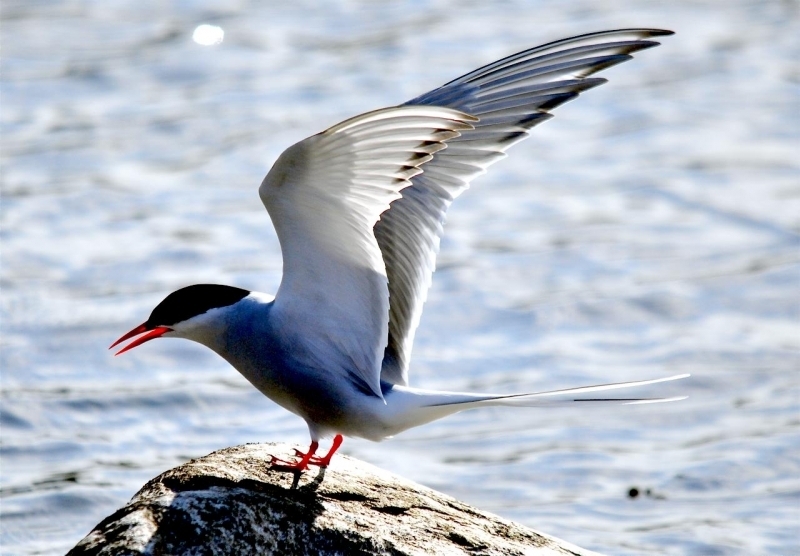 Arctic Terns have the longest yearly migration of any animal on our planet in terms of distance between the start & end points. 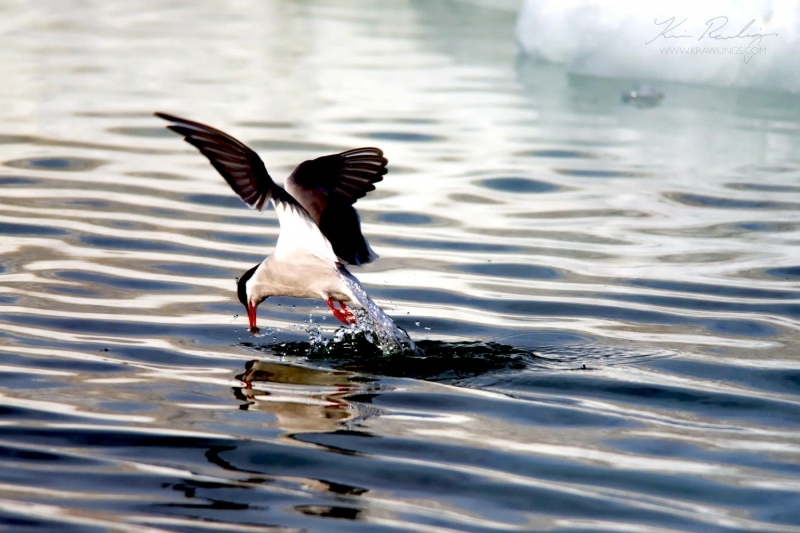 They travel from their Arctic breeding grounds to Antarctica and back, a distance of at least 25,000 miles every year. 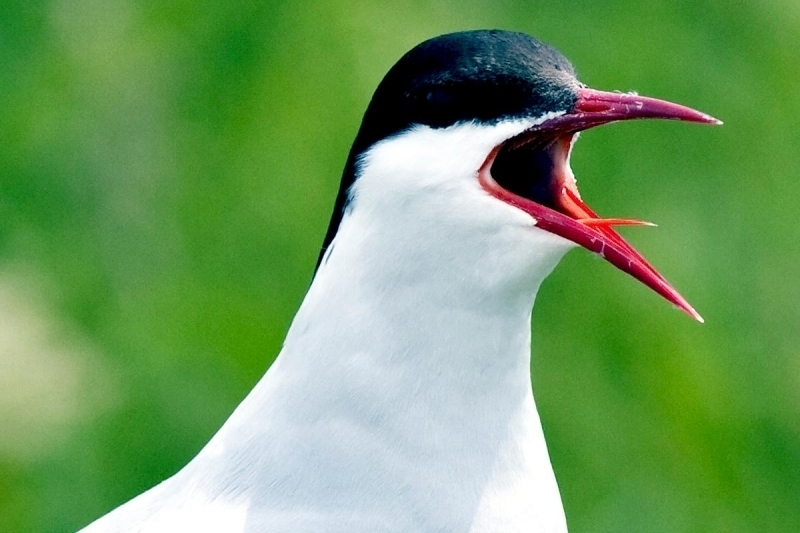 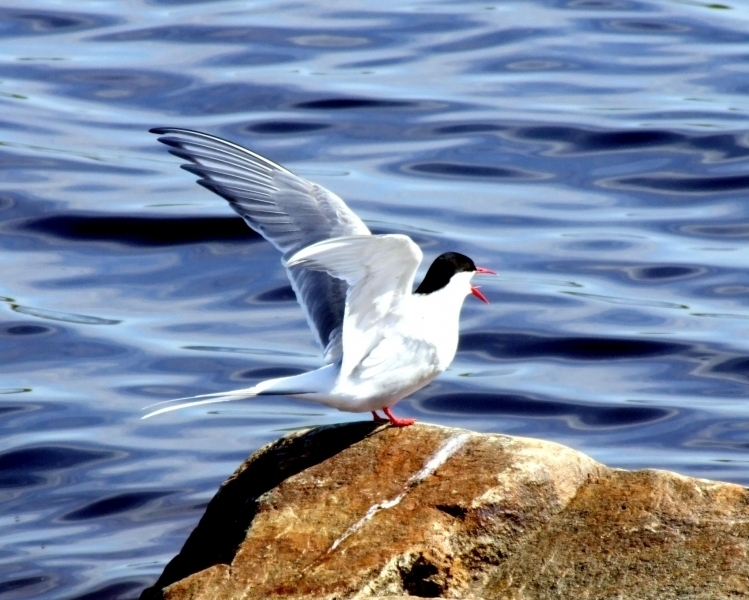 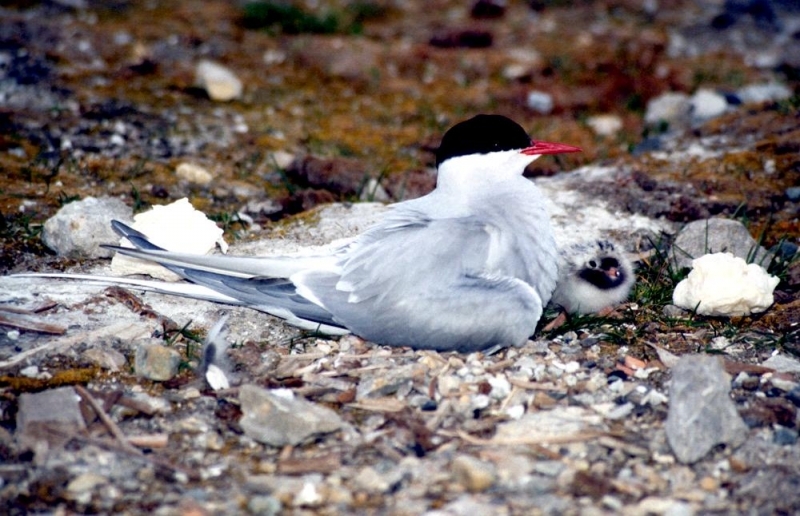 Arctic Terns often return to the same area they were hatched to breed. 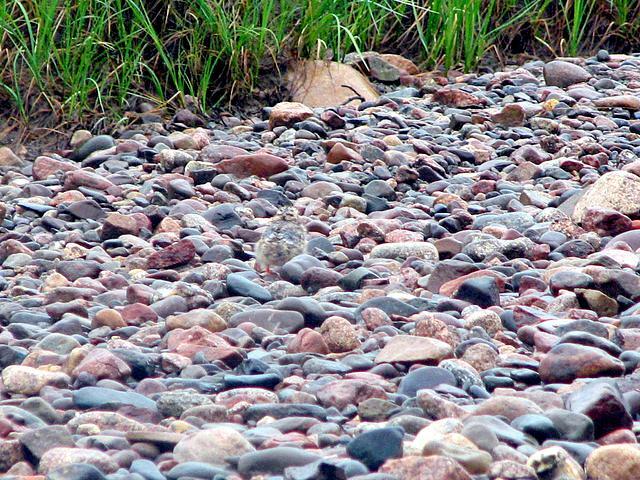 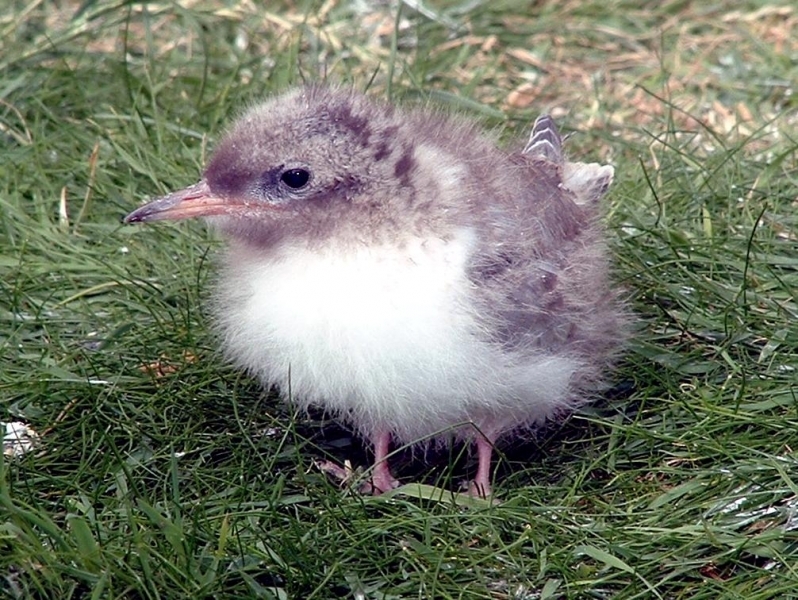 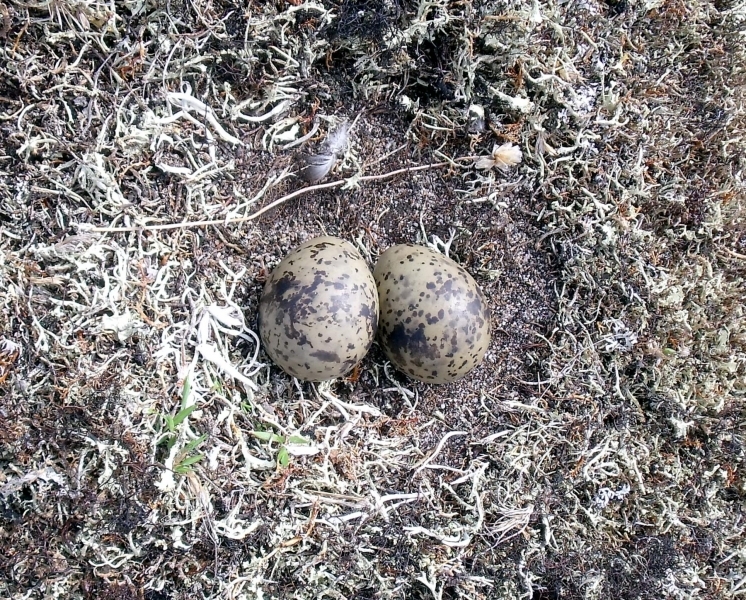 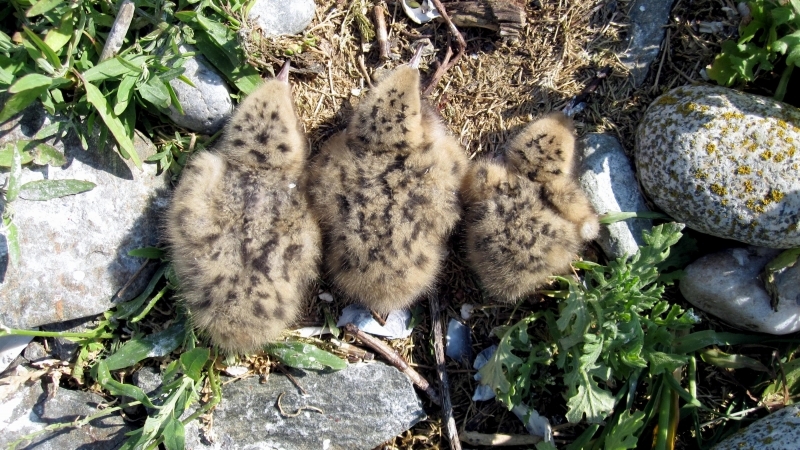 They are ground-nesting species and both parents rear the young. 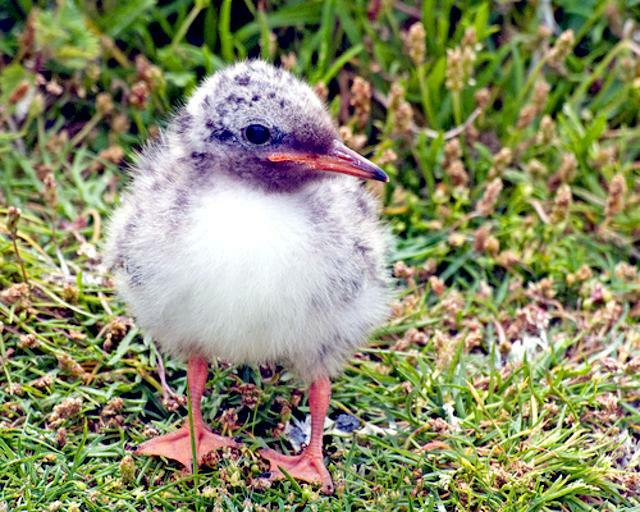 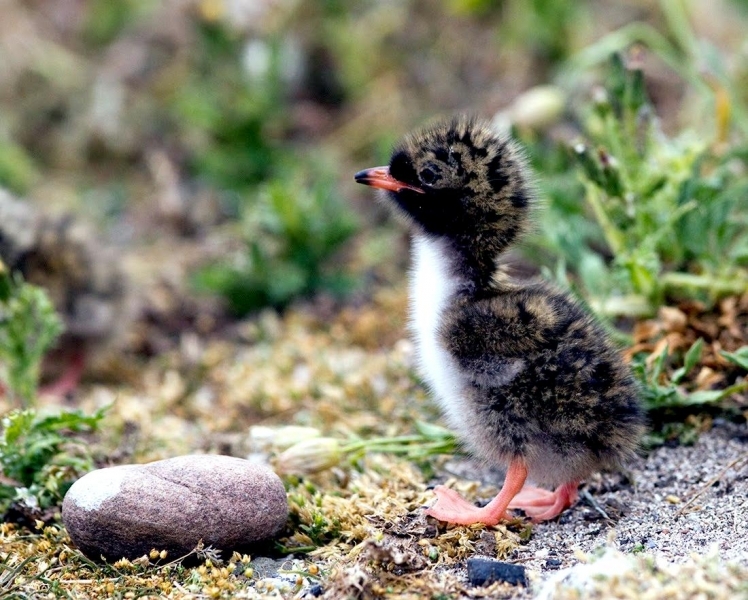 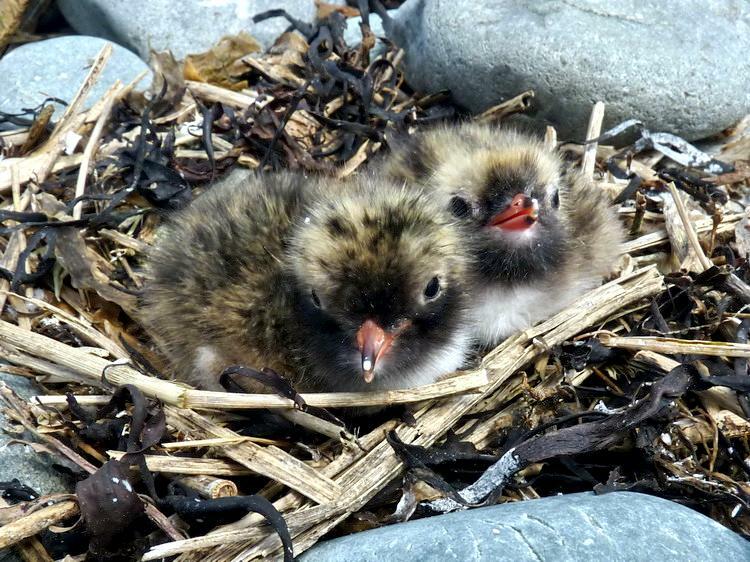 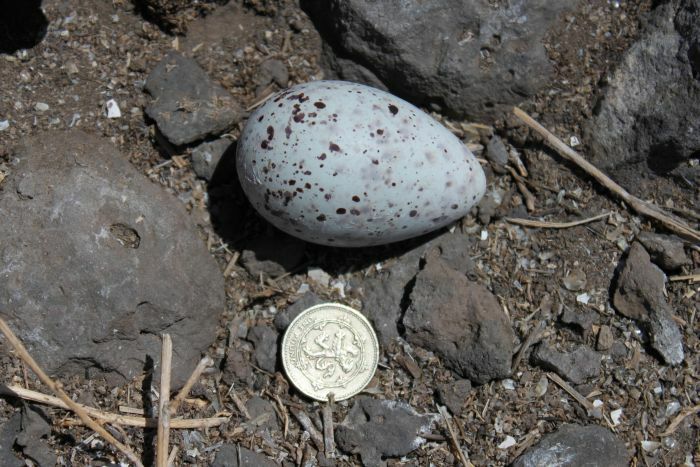 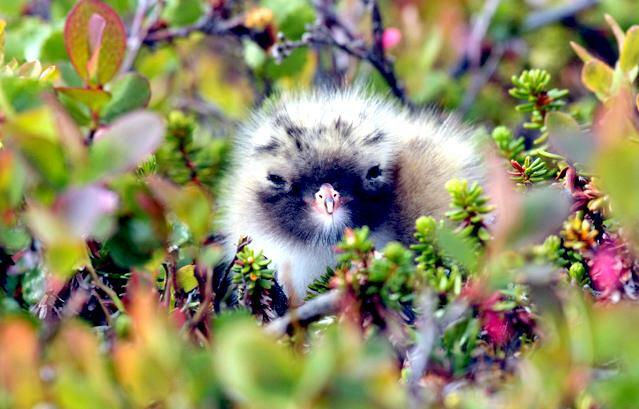 Hatchlings stay with the parents for about three months before they venture off on their own.